This hCalendar-compliant page is optimized for search engines. View this calendar as published at newscenter.sdsu.edu. Student Organizations Room: SLL - Glazer Center. Event Type: Trainings. Saturday, April 20, 2019, 9:30 AM – 11:30 AM. Arts Alive In Transit is a multidisciplinary exhibition featuring the work of five artists who have forged relationships with and documented the lives of individuals fleeing intolerable hardship by migrating into Europe over the last seven years. Focusing on the tentative, limbo-like experience of living between different cultures, the selection explores dynamic stories of immigrants and refugees who traverse the no man’s land existing between home and hope. The artworks illustrate the physical and psychological challenges, while looking at the deeper discussion of what constitutes citizenship in the wake of these enormous migrations. Through their photographs, the artists strive to disrupt accepted misconceptions about immigration and otherness. Artists included in the exhibition are: Tanya Habjouqa (JO)Gohar Dashti (IR)George Awde (USA/LB) Daniel Castro Garcia (UK)Stefanie Zofia Schulz (DE). Campus Location: SDSU Downtown Gallery. Event Type: Arts & Culture. Exhibits. Contact Name: Chantel Paul. Contact Email: sdsudtg@gmail.com. Contact Phone: 6195016370. Saturday, April 20, 2019, 11:00 AM – 4:00 PM. For more info visit art.sdsu.edu. Student Organizations Room: SLL - Glazer Center. Event Type: Trainings. Saturday, April 20, 2019, 12:00 PM – 2:00 PM. Viejas Arena Viejas Arena welcomes Joe Rogan on Saturday, April 20, 2019 at 8pm. The gates open at 7pm. Tickets can be purchased through Ticketmaster; online, by phone or at the Viejas Arena Box office in person. *Service fees may apply. Price and support acts subject to change without notice. Campus Location: Viejas Arena at Aztec Bowl. Event Type: Performances. Special Events. Saturday, April 20, 2019, 8:00 PM – 11:00 PM. For more info visit as.sdsu.edu. Arts Alive In Transit is a multidisciplinary exhibition featuring the work of five artists who have forged relationships with and documented the lives of individuals fleeing intolerable hardship by migrating into Europe over the last seven years. Focusing on the tentative, limbo-like experience of living between different cultures, the selection explores dynamic stories of immigrants and refugees who traverse the no man’s land existing between home and hope. The artworks illustrate the physical and psychological challenges, while looking at the deeper discussion of what constitutes citizenship in the wake of these enormous migrations. Through their photographs, the artists strive to disrupt accepted misconceptions about immigration and otherness. Artists included in the exhibition are: Tanya Habjouqa (JO)Gohar Dashti (IR)George Awde (USA/LB) Daniel Castro Garcia (UK)Stefanie Zofia Schulz (DE). Campus Location: SDSU Downtown Gallery. Event Type: Arts & Culture. Exhibits. Contact Name: Chantel Paul. Contact Email: sdsudtg@gmail.com. Contact Phone: 6195016370. Sunday, April 21, 2019, 11:00 AM – 4:00 PM. For more info visit art.sdsu.edu. Academic Affairs The exhibit explores the Theosophical community of Lomaland, which flourished on Point Loma, San Diego from 1898 until 1942. A contemplative, intentional community, Lomaland was an experiment to make Theosophy “intensely practical,” according to its founder and spiritual leader, Katherine Tingley. Inspired by the ideals found in late 19th century Theosophy and the New England Transcendentalism of her childhood, Tingley’s charismatic personality and vision drew together participants from more than twenty countries. She established the ‘School for the Revival of the Lost Mysteries of Antiquity’ and the ‘Raja Yoga School’ for children, which embraced dramatic productions, music, art, and literature. Reaching its peak of nearly 500 residents by 1920, Lomaland developed into a vibrant community based on Universalist ethics and altruistic ideals, and became the cultural and educational hub of a growing San Diego. Campus Location: Library/Information Access. Room: LA4410. Event Type: Exhibits. Contact Name: Robert Ray. Contact Email: robert.ray@sdsu.edu. Contact Phone: x44303. Monday, April 22, 2019, 10:00 AM – 4:00 PM. For more info visit library.sdsu.edu. Speaking Like a Leader: Voice Your Confidence. SDSU Student Life There are many aspects of leadership, yet one important aspect is often overlooked: VOICE! Come on out to this vocal workshop where we will be learning ways to get your voice heard. Room: 210 P. Event Type: Workshops. Contact Name: Rogelio Becerra Songolo. Contact Email: rbecerrasongolo@sdsu.edu. Contact Phone: 619 594-5221. Monday, April 22, 2019, 11:00 AM – 12:00 PM. Arts Alive In Transit is a multidisciplinary exhibition featuring the work of five artists who have forged relationships with and documented the lives of individuals fleeing intolerable hardship by migrating into Europe over the last seven years. Focusing on the tentative, limbo-like experience of living between different cultures, the selection explores dynamic stories of immigrants and refugees who traverse the no man’s land existing between home and hope. The artworks illustrate the physical and psychological challenges, while looking at the deeper discussion of what constitutes citizenship in the wake of these enormous migrations. Through their photographs, the artists strive to disrupt accepted misconceptions about immigration and otherness. Artists included in the exhibition are: Tanya Habjouqa (JO)Gohar Dashti (IR)George Awde (USA/LB) Daniel Castro Garcia (UK)Stefanie Zofia Schulz (DE). Campus Location: SDSU Downtown Gallery. Event Type: Arts & Culture. Exhibits. Contact Name: Chantel Paul. Contact Email: sdsudtg@gmail.com. Contact Phone: 6195016370. Monday, April 22, 2019, 11:00 AM – 4:00 PM. For more info visit art.sdsu.edu. Women's Resource Center Join us for an interactive event focused on reclaiming one's narrative through various forms of art and expression! Campus Location: Women's Resource Center. Room: Women's Resource Center. Event Type: Arts & Culture. Student Activities. Workshops. Contact Name: Jessica Nare. Contact Email: jlnare@sdsu.edu. Contact Phone: 6195942301. Monday, April 22, 2019, 12:00 PM – 1:00 PM. For more info visit newscenter.sdsu.edu. Live Well Aztecs Campus Location: Conrad Prebys Aztec Student Union. Room: Pride Suite. Event Type: Recreation. Contact Name: Amy Schiller. Contact Email: aschiller@sdsu.edu. Monday, April 22, 2019, 12:00 PM – 1:00 PM. For more info visit arc.sdsu.edu. Commuter Resource Center Are you wanting to gain more experience in the career field you're interested in? Consider applying for internships! If you don't know where or how to begin searching for and applying for internships, come check this workshop out! Campus Location: Conrad Prebys Aztec Student Union. Room: 210P. Event Type: Workshops. Contact Name: Rogelio Becerra Songolo. Contact Email: rbecerrasongolo@sdsu.edu. Contact Phone: 6195945221. Monday, April 22, 2019, 1:00 PM – 2:00 PM. International Student Services **Click on this event for complete information and instructions so you will be prepared for this meeting**, STUDENTS MUST ARRIVE 10-15 MINUTES EARLY! STUDENTS WILL NOT BE ALLOWED TO ENTER THE MEETING AFTER IT HAS BEGUN! During the OPT Application Meeting, students will begin the process of applying for Optional Practical Training (OPT) and learn about the responsibilities for maintaining legal F1 immigration status while on OPT. IMPORTANT! Students must bring hard (paper) copies of all required documents to the OPT Application Meeting. If you do not have hard (paper) copies of the required documents with you, you will not be allowed to attend the meeting. The required document list is on the ISC website for OPT information under the section "OPT How to Apply". Campus Location: International Student Center. Room: ISC Lounge. Event Type: Workshops. Contact Email: isc.reception@sdsu.edu. Contact Phone: 619-594-1982. Monday, April 22, 2019, 1:30 PM – 3:30 PM. For more info visit go.sdsu.edu. Women's Resource Center Learn about environmental justice, how you can make a difference, and start a sustainable mini-herb garden! Campus Location: Women's Resource Center. Room: Women's Resource Center. Event Type: Student Activities. Workshops. Contact Name: Jessica Nare. Contact Email: jlnare@sdsu.edu. Contact Phone: 6195942301. Monday, April 22, 2019, 2:00 PM – 3:00 PM. For more info visit newscenter.sdsu.edu. Academic Affairs The exhibit explores the Theosophical community of Lomaland, which flourished on Point Loma, San Diego from 1898 until 1942. A contemplative, intentional community, Lomaland was an experiment to make Theosophy “intensely practical,” according to its founder and spiritual leader, Katherine Tingley. Inspired by the ideals found in late 19th century Theosophy and the New England Transcendentalism of her childhood, Tingley’s charismatic personality and vision drew together participants from more than twenty countries. She established the ‘School for the Revival of the Lost Mysteries of Antiquity’ and the ‘Raja Yoga School’ for children, which embraced dramatic productions, music, art, and literature. Reaching its peak of nearly 500 residents by 1920, Lomaland developed into a vibrant community based on Universalist ethics and altruistic ideals, and became the cultural and educational hub of a growing San Diego. Campus Location: Library/Information Access. Room: LA4410. Event Type: Exhibits. Contact Name: Robert Ray. Contact Email: robert.ray@sdsu.edu. Contact Phone: x44303. Tuesday, April 23, 2019, 10:00 AM – 4:00 PM. For more info visit library.sdsu.edu. Conrad Prebys Aztec Student Union Events SDSU Chefs will be providing instruction on how to cook up different meals and treats. You'll get to taste test everything and learn how to create a unique and delicious dish! Follow our social media, @aztecunion, to learn more! Campus Location: Conrad Prebys Aztec Student Union. Room: Union Courtyard. Event Type: Student Activities. Contact Email: asub@sdsu.edu. Tuesday, April 23, 2019, 12:00 PM – 1:00 PM. Live Well Aztecs Campus Location: Aztec Recreation Center. Room: AMC Room C. Event Type: Recreation. Tuesday, April 23, 2019, 12:00 PM – 12:30 PM. For more info visit arc.sdsu.edu. Commuter Life Mentor Recruitment Info Session: Join Our Team! Commuter Resource Center Are you interested in supporting freshman commuter students in their college transition? Do you want to help support sophomore students in overcoming obstacles during their second year? If you are, come find out what it takes to become a freshman Academic Mentor or a Sophomore Surge Mentor! We want you! Campus Location: Conrad Prebys Aztec Student Union. Room: 210P. Event Type: Workshops. Contact Name: Rogelio Becerra Songolo. Contact Email: rbecerrasongolo@sdsu.edu. Contact Phone: 6195945221. Tuesday, April 23, 2019, 12:30 PM – 1:30 PM. Campus Location: Montezuma Hall. Room: Montezuma Hall, Aztec Student Union. Event Type: Ceremonies. Contact Name: Bryan Spencer. Contact Email: bspencer@sdsu.edu. Contact Phone: (619) 594-0140. Tuesday, April 23, 2019, 5:00 PM – 7:00 PM. For more info visit studentaffairs.sdsu.edu. SDSU Student Life Developing your personal mission statement allows space for creativity, developed confidence, and reassurance by taking ownership of your own identity. After participating in this workshop, you will articulate your mission as a leader. Identifying your goals is the first step towards accomplishing your life’s purpose. Room: 210 P. Event Type: Workshops. Contact Name: Rogelio Becerra Songolo. Contact Email: rbecerrasongolo@sdsu.edu. Contact Phone: 619 594-5221. Wednesday, April 24, 2019, 10:00 AM – 11:00 AM. Associated Students The Associated Students Food Pantry provides nutritious food and food program referral services for SDSU students experiencing food insecurity. Campus Location: Conrad Prebys Aztec Student Union. Room: 2nd Floor. Event Type: Student Activities. Contact Name: Associated Students. Contact Email: associatedstudents@sdsu.edu. Contact Phone: 619-594-6555. Wednesday, April 24, 2019, 10:00 AM – 3:00 PM. For more info visit as.sdsu.edu. Academic Affairs The exhibit explores the Theosophical community of Lomaland, which flourished on Point Loma, San Diego from 1898 until 1942. A contemplative, intentional community, Lomaland was an experiment to make Theosophy “intensely practical,” according to its founder and spiritual leader, Katherine Tingley. Inspired by the ideals found in late 19th century Theosophy and the New England Transcendentalism of her childhood, Tingley’s charismatic personality and vision drew together participants from more than twenty countries. She established the ‘School for the Revival of the Lost Mysteries of Antiquity’ and the ‘Raja Yoga School’ for children, which embraced dramatic productions, music, art, and literature. Reaching its peak of nearly 500 residents by 1920, Lomaland developed into a vibrant community based on Universalist ethics and altruistic ideals, and became the cultural and educational hub of a growing San Diego. Campus Location: Library/Information Access. Room: LA4410. Event Type: Exhibits. Contact Name: Robert Ray. Contact Email: robert.ray@sdsu.edu. Contact Phone: x44303. Wednesday, April 24, 2019, 10:00 AM – 4:00 PM. For more info visit library.sdsu.edu. Conrad Prebys Aztec Student Union Events Stop by the Union to hear a local artist preform for an hour! Relax and enjoy your lunch. Follow our social media, @aztecunion, to learn more! Campus Location: Conrad Prebys Aztec Student Union. Room: Union Courtyard. Event Type: Student Activities. Contact Email: asub@sdsu.edu. Wednesday, April 24, 2019, 12:00 PM – 1:00 PM. Aztec Recreation Event Type: Recreation. Contact Name: Benjamin Ramaeker. Thursday, April 25, 2019, 12:00 AM – Sunday, April 28, 2019, 12:00 AM. Colorado River Black Canyon. For more info visit www.facebook.com. Associated Students The Associated Students Food Pantry provides nutritious food and food program referral services for SDSU students experiencing food insecurity. Campus Location: North Library Walkway. Room: SDSU Farmer's Market. Event Type: Student Activities. Contact Name: Associated Students. Contact Phone: 619-594-6555. Thursday, April 25, 2019, 10:00 AM – 3:00 PM. For more info visit as.sdsu.edu. Academic Affairs The exhibit explores the Theosophical community of Lomaland, which flourished on Point Loma, San Diego from 1898 until 1942. A contemplative, intentional community, Lomaland was an experiment to make Theosophy “intensely practical,” according to its founder and spiritual leader, Katherine Tingley. Inspired by the ideals found in late 19th century Theosophy and the New England Transcendentalism of her childhood, Tingley’s charismatic personality and vision drew together participants from more than twenty countries. She established the ‘School for the Revival of the Lost Mysteries of Antiquity’ and the ‘Raja Yoga School’ for children, which embraced dramatic productions, music, art, and literature. Reaching its peak of nearly 500 residents by 1920, Lomaland developed into a vibrant community based on Universalist ethics and altruistic ideals, and became the cultural and educational hub of a growing San Diego. Campus Location: Library/Information Access. Room: LA4410. Event Type: Exhibits. Contact Name: Robert Ray. Contact Email: robert.ray@sdsu.edu. Contact Phone: x44303. Thursday, April 25, 2019, 10:00 AM – 4:00 PM. For more info visit library.sdsu.edu. Arts Alive In Transit is a multidisciplinary exhibition featuring the work of five artists who have forged relationships with and documented the lives of individuals fleeing intolerable hardship by migrating into Europe over the last seven years. Focusing on the tentative, limbo-like experience of living between different cultures, the selection explores dynamic stories of immigrants and refugees who traverse the no man’s land existing between home and hope. The artworks illustrate the physical and psychological challenges, while looking at the deeper discussion of what constitutes citizenship in the wake of these enormous migrations. Through their photographs, the artists strive to disrupt accepted misconceptions about immigration and otherness. Artists included in the exhibition are: Tanya Habjouqa (JO)Gohar Dashti (IR)George Awde (USA/LB) Daniel Castro Garcia (UK)Stefanie Zofia Schulz (DE). Campus Location: SDSU Downtown Gallery. Event Type: Arts & Culture. Exhibits. Contact Name: Chantel Paul. Contact Email: sdsudtg@gmail.com. Contact Phone: 6195016370. Thursday, April 25, 2019, 11:00 AM – 4:00 PM. For more info visit art.sdsu.edu. Student Organizations This training is open to incoming and outgoing officers of Recognized Student Organizations to learn tips, tricks, and best practices for successful transitions of leadership. This training also includes personalized assistance navigating the RSO Application System. Campus Location: Conrad Prebys Aztec Student Union. Room: Student Life & Leadership, Glazer Center. Event Type: Student Activities. Trainings. Workshops. Contact Name: SLL. Contact Email: sll@sdsu.edu. Contact Phone: 619-594-5221. Thursday, April 25, 2019, 11:30 AM – 1:00 PM. Women's Resource Center Rise is a weekly supportive space for survivors of sexual assault and relationship violence. This group is open to students of all genders who are currently enrolled at SDSU. Each group provides space for survivors to check-in with one other, and to learn and practice skills to further the healing process. Students are welcome to drop-in as desired, and encouraged to attend as many sessions as possible. Due to the nature of the group, we ask all attendees to arrive on time (the doors close at 12:45 pm). Day & Time: Thursdays 12:30 - 1:45 pm @ Women's Resource Center Facilitators: Mary Joyce Juan, Ph.D. Gianna Galindo, M.A. Campus Location: Women's Resource Center. Room: Women's Resource Center. Event Type: Student Activities. Workshops. Contact Name: Jessica Nare. Contact Email: jlnare@sdsu.edu. Contact Phone: 6195942301. Thursday, April 25, 2019, 12:30 PM – 1:45 PM. For more info visit newscenter.sdsu.edu. Women's Resource Center The Artivist Film Festival is an opportunity for San Diego State student filmmakers of all levels to showcase their work on campus. The festival intends to provide a space where creativity and critical dialogues emerge by featuring films/documentaries that center social justice issues. A series of short films will be chosen from student submissions and featured followed with a group discussion. Campus Location: Women's Resource Center. Room: Black Resource Center. Event Type: Arts & Culture. Student Activities. Contact Name: Jessica Nare. Contact Email: jlnare@sdsu.edu. Contact Phone: 6195942301. Thursday, April 25, 2019, 4:00 PM – 6:00 PM. For more info visit newscenter.sdsu.edu. One SDSU Community To celebrate Asian Pacific American Heritage Month, please join us in hosting Dr. Robert Teranishi on campus. Collaborating partners are (AAPI)phany, Counseling & Psychological Services, and the Center for Intercultural Relations. Campus Location: Conrad Prebys Aztec Student Union. Room: Union Theatre. Event Type: Arts & Culture. Lectures/Seminars. Student Activities. Contact Email: onesdsu@sdsu.edu. Thursday, April 25, 2019, 4:00 PM – 5:30 PM. Student Organizations Room: SLL - Glazer Center. Event Type: Trainings. Friday, April 26, 2019, 9:30 AM – 11:30 AM. Academic Affairs The exhibit explores the Theosophical community of Lomaland, which flourished on Point Loma, San Diego from 1898 until 1942. A contemplative, intentional community, Lomaland was an experiment to make Theosophy “intensely practical,” according to its founder and spiritual leader, Katherine Tingley. Inspired by the ideals found in late 19th century Theosophy and the New England Transcendentalism of her childhood, Tingley’s charismatic personality and vision drew together participants from more than twenty countries. She established the ‘School for the Revival of the Lost Mysteries of Antiquity’ and the ‘Raja Yoga School’ for children, which embraced dramatic productions, music, art, and literature. Reaching its peak of nearly 500 residents by 1920, Lomaland developed into a vibrant community based on Universalist ethics and altruistic ideals, and became the cultural and educational hub of a growing San Diego. Campus Location: Library/Information Access. Room: LA4410. Event Type: Exhibits. Contact Name: Robert Ray. Contact Email: robert.ray@sdsu.edu. Contact Phone: x44303. Friday, April 26, 2019, 10:00 AM – 4:00 PM. For more info visit library.sdsu.edu. Arts Alive In Transit is a multidisciplinary exhibition featuring the work of five artists who have forged relationships with and documented the lives of individuals fleeing intolerable hardship by migrating into Europe over the last seven years. Focusing on the tentative, limbo-like experience of living between different cultures, the selection explores dynamic stories of immigrants and refugees who traverse the no man’s land existing between home and hope. The artworks illustrate the physical and psychological challenges, while looking at the deeper discussion of what constitutes citizenship in the wake of these enormous migrations. Through their photographs, the artists strive to disrupt accepted misconceptions about immigration and otherness. Artists included in the exhibition are: Tanya Habjouqa (JO)Gohar Dashti (IR)George Awde (USA/LB) Daniel Castro Garcia (UK)Stefanie Zofia Schulz (DE). Campus Location: SDSU Downtown Gallery. Event Type: Arts & Culture. Exhibits. Contact Name: Chantel Paul. Contact Email: sdsudtg@gmail.com. Contact Phone: 6195016370. Friday, April 26, 2019, 11:00 AM – 4:00 PM. For more info visit art.sdsu.edu. Student Organizations Room: SLL - Glazer Center. Event Type: Trainings. Friday, April 26, 2019, 12:00 PM – 2:00 PM. ISC Events International and domestic students share their culture with the SDSU community every Friday at the ISC! International Coffee Hour is a long standing tradition at the International Student Center. Every Friday, from 12 noon until 1 pm, students share their culture through performances, presentations, songs and, of course, food. The International Student Association (ISA) sponsors the event by providing a $100 stipend to students to help prepare for their coffee hour. $1 Donations are encouraged to help support ISA. Whether you want to participate by planning a coffee hour and sharing your culture, or if you want to experience and learn about a different culture each week, everyone is welcome! Campus Location: International Student Center. Room: International Student Center Lounge. Event Type: Student Activities. Contact Name: Roselyn Enwemeka. Contact Email: internationalevents@sdsu.edu. Contact Phone: (619)-594-0679. Friday, April 26, 2019, 12:00 PM – 1:00 PM. For more info visit go.sdsu.edu. Student Organizations Both New Presidents & Treasurers from each organization must complete the RSO Leadership Training before your organization can be fully Recognized. The Officer RSO Leadership Training will be offered throughout the summer, fall and spring semesters. Campus Location: Conrad Prebys Aztec Student Union. Room: Student Life & Leadership, Second Floor of the Aztec Student Union. Event Type: Student Activities. Contact Name: Student Life & Leadership. Contact Email: sll@sdsu.edu. Contact Phone: 6195945221. Friday, April 26, 2019, 2:00 PM – 4:00 PM. For more info visit sll.sdsu.edu. Campus Location: Montezuma Hall. Room: Montezuma Hall, Aztec Student Union. Event Type: Ceremonies. Contact Name: Henry Villegas. Contact Email: eopappt@sdsu.edu. Contact Phone: (619) 594-6298. Friday, April 26, 2019, 5:30 PM – 7:30 PM. For more info visit studentaffairs.sdsu.edu. Student Organizations Room: SLL - Glazer Center. Event Type: Trainings. Saturday, April 27, 2019, 9:30 AM – 11:30 AM. Arts Alive In Transit is a multidisciplinary exhibition featuring the work of five artists who have forged relationships with and documented the lives of individuals fleeing intolerable hardship by migrating into Europe over the last seven years. Focusing on the tentative, limbo-like experience of living between different cultures, the selection explores dynamic stories of immigrants and refugees who traverse the no man’s land existing between home and hope. The artworks illustrate the physical and psychological challenges, while looking at the deeper discussion of what constitutes citizenship in the wake of these enormous migrations. Through their photographs, the artists strive to disrupt accepted misconceptions about immigration and otherness. Artists included in the exhibition are: Tanya Habjouqa (JO)Gohar Dashti (IR)George Awde (USA/LB) Daniel Castro Garcia (UK)Stefanie Zofia Schulz (DE). Campus Location: SDSU Downtown Gallery. Event Type: Arts & Culture. Exhibits. Contact Name: Chantel Paul. Contact Email: sdsudtg@gmail.com. Contact Phone: 6195016370. Saturday, April 27, 2019, 11:00 AM – 4:00 PM. For more info visit art.sdsu.edu. Student Organizations Room: SLL - Glazer Center. Event Type: Trainings. Saturday, April 27, 2019, 12:00 PM – 2:00 PM. Aztec Recreation Campus Location: Playfield/ENS 700. Event Type: Recreation. Sunday, April 28, 2019, 11:00 AM – 3:00 PM. For more info visit arc.sdsu.edu. Arts Alive In Transit is a multidisciplinary exhibition featuring the work of five artists who have forged relationships with and documented the lives of individuals fleeing intolerable hardship by migrating into Europe over the last seven years. Focusing on the tentative, limbo-like experience of living between different cultures, the selection explores dynamic stories of immigrants and refugees who traverse the no man’s land existing between home and hope. The artworks illustrate the physical and psychological challenges, while looking at the deeper discussion of what constitutes citizenship in the wake of these enormous migrations. Through their photographs, the artists strive to disrupt accepted misconceptions about immigration and otherness. Artists included in the exhibition are: Tanya Habjouqa (JO)Gohar Dashti (IR)George Awde (USA/LB) Daniel Castro Garcia (UK)Stefanie Zofia Schulz (DE). Campus Location: SDSU Downtown Gallery. Event Type: Arts & Culture. Exhibits. Contact Name: Chantel Paul. Contact Email: sdsudtg@gmail.com. Contact Phone: 6195016370. Sunday, April 28, 2019, 11:00 AM – 4:00 PM. For more info visit art.sdsu.edu. Aztec Recreation Campus Location: Playfield/ENS 700. Event Type: Recreation. Sunday, April 28, 2019, 2:00 PM – Wednesday, May 8, 2019, 3:00 PM. For more info visit arc.sdsu.edu. Aztec Recreation Campus Location: Tony Gwynn Stadium at Charlie Smith Field. Event Type: Recreation. Sunday, April 28, 2019, 2:00 PM – Wednesday, May 8, 2019, 3:00 PM. For more info visit arc.sdsu.edu. Academic Affairs The exhibit explores the Theosophical community of Lomaland, which flourished on Point Loma, San Diego from 1898 until 1942. A contemplative, intentional community, Lomaland was an experiment to make Theosophy “intensely practical,” according to its founder and spiritual leader, Katherine Tingley. Inspired by the ideals found in late 19th century Theosophy and the New England Transcendentalism of her childhood, Tingley’s charismatic personality and vision drew together participants from more than twenty countries. She established the ‘School for the Revival of the Lost Mysteries of Antiquity’ and the ‘Raja Yoga School’ for children, which embraced dramatic productions, music, art, and literature. Reaching its peak of nearly 500 residents by 1920, Lomaland developed into a vibrant community based on Universalist ethics and altruistic ideals, and became the cultural and educational hub of a growing San Diego. Campus Location: Library/Information Access. Room: LA4410. Event Type: Exhibits. Contact Name: Robert Ray. Contact Email: robert.ray@sdsu.edu. Contact Phone: x44303. Monday, April 29, 2019, 10:00 AM – 4:00 PM. For more info visit library.sdsu.edu. Arts Alive In Transit is a multidisciplinary exhibition featuring the work of five artists who have forged relationships with and documented the lives of individuals fleeing intolerable hardship by migrating into Europe over the last seven years. Focusing on the tentative, limbo-like experience of living between different cultures, the selection explores dynamic stories of immigrants and refugees who traverse the no man’s land existing between home and hope. The artworks illustrate the physical and psychological challenges, while looking at the deeper discussion of what constitutes citizenship in the wake of these enormous migrations. Through their photographs, the artists strive to disrupt accepted misconceptions about immigration and otherness. Artists included in the exhibition are: Tanya Habjouqa (JO)Gohar Dashti (IR)George Awde (USA/LB) Daniel Castro Garcia (UK)Stefanie Zofia Schulz (DE). Campus Location: SDSU Downtown Gallery. Event Type: Arts & Culture. Exhibits. Contact Name: Chantel Paul. Contact Email: sdsudtg@gmail.com. Contact Phone: 6195016370. Monday, April 29, 2019, 11:00 AM – 4:00 PM. For more info visit art.sdsu.edu. Live Well Aztecs Campus Location: Conrad Prebys Aztec Student Union. Room: Pride Suite. Event Type: Recreation. Contact Name: Amy Schiller. Contact Email: aschiller@sdsu.edu. Monday, April 29, 2019, 12:00 PM – 1:00 PM. For more info visit arc.sdsu.edu. Conrad Prebys Aztec Student Union Events Enjoy the latest blockbuster hit for free! Snacks will be provided. Visit our social media to learn more! @aztecunion. Campus Location: Conrad Prebys Aztec Student Union. Room: Union Theater. Event Type: Arts & Culture. Contact Email: asub@sdsu.edu. Monday, April 29, 2019, 6:30 PM – 9:00 PM. International Student Services **Click on this event for complete information and instructions so you will be prepared for this meeting**, STUDENTS MUST ARRIVE 10-15 MINUTES EARLY! STUDENTS WILL NOT BE ALLOWED TO ENTER THE MEETING AFTER IT HAS BEGUN! During the OPT Application Meeting, students will begin the process of applying for Optional Practical Training (OPT) and learn about the responsibilities for maintaining legal F1 immigration status while on OPT. IMPORTANT! Students must bring hard (paper) copies of all required documents to the OPT Application Meeting. If you do not have hard (paper) copies of the required documents with you, you will not be allowed to attend the meeting. The required document list is on the ISC website for OPT information under the section "OPT How to Apply". Campus Location: International Student Center. Room: ISC Lounge. Event Type: Workshops. Contact Email: isc.reception@sdsu.edu. Contact Phone: 619-594-1982. Tuesday, April 30, 2019, 10:00 AM – 12:00 PM. For more info visit go.sdsu.edu. Academic Affairs The exhibit explores the Theosophical community of Lomaland, which flourished on Point Loma, San Diego from 1898 until 1942. A contemplative, intentional community, Lomaland was an experiment to make Theosophy “intensely practical,” according to its founder and spiritual leader, Katherine Tingley. Inspired by the ideals found in late 19th century Theosophy and the New England Transcendentalism of her childhood, Tingley’s charismatic personality and vision drew together participants from more than twenty countries. She established the ‘School for the Revival of the Lost Mysteries of Antiquity’ and the ‘Raja Yoga School’ for children, which embraced dramatic productions, music, art, and literature. Reaching its peak of nearly 500 residents by 1920, Lomaland developed into a vibrant community based on Universalist ethics and altruistic ideals, and became the cultural and educational hub of a growing San Diego. Campus Location: Library/Information Access. Room: LA4410. Event Type: Exhibits. Contact Name: Robert Ray. Contact Email: robert.ray@sdsu.edu. Contact Phone: x44303. Tuesday, April 30, 2019, 10:00 AM – 4:00 PM. For more info visit library.sdsu.edu. Live Well Aztecs Campus Location: Aztec Recreation Center. Room: AMC Room C. Event Type: Recreation. Tuesday, April 30, 2019, 12:00 PM – 12:30 PM. For more info visit arc.sdsu.edu. Student Organizations This training is open to incoming and outgoing officers of Recognized Student Organizations to learn tips, tricks, and best practices for successful transitions of leadership. This training also includes personalized assistance navigating the RSO Application System. Campus Location: Conrad Prebys Aztec Student Union. Room: Student Life & Leadership, Glazer Center. Event Type: Student Activities. Trainings. Workshops. Contact Name: SLL. Contact Email: sll@sdsu.edu. Contact Phone: 619-594-5221. Tuesday, April 30, 2019, 4:30 PM – 6:00 PM. Associated Students The Associated Students Food Pantry provides nutritious food and food program referral services for SDSU students experiencing food insecurity. Campus Location: Conrad Prebys Aztec Student Union. Room: 2nd Floor. Event Type: Student Activities. Contact Name: Associated Students. Contact Email: associatedstudents@sdsu.edu. Contact Phone: 619-594-6555. Wednesday, May 1, 2019, 10:00 AM – 3:00 PM. For more info visit as.sdsu.edu. Academic Affairs The exhibit explores the Theosophical community of Lomaland, which flourished on Point Loma, San Diego from 1898 until 1942. A contemplative, intentional community, Lomaland was an experiment to make Theosophy “intensely practical,” according to its founder and spiritual leader, Katherine Tingley. Inspired by the ideals found in late 19th century Theosophy and the New England Transcendentalism of her childhood, Tingley’s charismatic personality and vision drew together participants from more than twenty countries. She established the ‘School for the Revival of the Lost Mysteries of Antiquity’ and the ‘Raja Yoga School’ for children, which embraced dramatic productions, music, art, and literature. Reaching its peak of nearly 500 residents by 1920, Lomaland developed into a vibrant community based on Universalist ethics and altruistic ideals, and became the cultural and educational hub of a growing San Diego. Campus Location: Library/Information Access. Room: LA4410. Event Type: Exhibits. Contact Name: Robert Ray. Contact Email: robert.ray@sdsu.edu. Contact Phone: x44303. Wednesday, May 1, 2019, 10:00 AM – 4:00 PM. For more info visit library.sdsu.edu. Associated Students Take a moment to relax during the start of finals! Campus Location: Conrad Prebys Aztec Student Union. Room: Courtyard. Event Type: Student Activities. Contact Email: asub@sdsu.edu. Wednesday, May 1, 2019, 11:00 AM – 1:00 PM. Associated Students The Associated Students Food Pantry provides nutritious food and food program referral services for SDSU students experiencing food insecurity. Campus Location: North Library Walkway. Room: SDSU Farmer's Market. Event Type: Student Activities. Contact Name: Associated Students. Contact Phone: 619-594-6555. Thursday, May 2, 2019, 10:00 AM – 3:00 PM. For more info visit as.sdsu.edu. Academic Affairs The exhibit explores the Theosophical community of Lomaland, which flourished on Point Loma, San Diego from 1898 until 1942. A contemplative, intentional community, Lomaland was an experiment to make Theosophy “intensely practical,” according to its founder and spiritual leader, Katherine Tingley. Inspired by the ideals found in late 19th century Theosophy and the New England Transcendentalism of her childhood, Tingley’s charismatic personality and vision drew together participants from more than twenty countries. She established the ‘School for the Revival of the Lost Mysteries of Antiquity’ and the ‘Raja Yoga School’ for children, which embraced dramatic productions, music, art, and literature. Reaching its peak of nearly 500 residents by 1920, Lomaland developed into a vibrant community based on Universalist ethics and altruistic ideals, and became the cultural and educational hub of a growing San Diego. Campus Location: Library/Information Access. Room: LA4410. Event Type: Exhibits. Contact Name: Robert Ray. Contact Email: robert.ray@sdsu.edu. Contact Phone: x44303. Thursday, May 2, 2019, 10:00 AM – 4:00 PM. For more info visit library.sdsu.edu. Arts Alive In Transit is a multidisciplinary exhibition featuring the work of five artists who have forged relationships with and documented the lives of individuals fleeing intolerable hardship by migrating into Europe over the last seven years. Focusing on the tentative, limbo-like experience of living between different cultures, the selection explores dynamic stories of immigrants and refugees who traverse the no man’s land existing between home and hope. The artworks illustrate the physical and psychological challenges, while looking at the deeper discussion of what constitutes citizenship in the wake of these enormous migrations. Through their photographs, the artists strive to disrupt accepted misconceptions about immigration and otherness. Artists included in the exhibition are: Tanya Habjouqa (JO)Gohar Dashti (IR)George Awde (USA/LB) Daniel Castro Garcia (UK)Stefanie Zofia Schulz (DE). Campus Location: SDSU Downtown Gallery. Event Type: Arts & Culture. Exhibits. Contact Name: Chantel Paul. Contact Email: sdsudtg@gmail.com. Contact Phone: 6195016370. Thursday, May 2, 2019, 11:00 AM – 4:00 PM. For more info visit art.sdsu.edu. Women's Resource Center Rise is a weekly supportive space for survivors of sexual assault and relationship violence. This group is open to students of all genders who are currently enrolled at SDSU. Each group provides space for survivors to check-in with one other, and to learn and practice skills to further the healing process. Students are welcome to drop-in as desired, and encouraged to attend as many sessions as possible. Due to the nature of the group, we ask all attendees to arrive on time (the doors close at 12:45 pm). Day & Time: Thursdays 12:30 - 1:45 pm @ Women's Resource Center Facilitators: Mary Joyce Juan, Ph.D. Gianna Galindo, M.A. Campus Location: Women's Resource Center. Room: Women's Resource Center. Event Type: Student Activities. Workshops. Contact Name: Jessica Nare. Contact Email: jlnare@sdsu.edu. Contact Phone: 6195942301. Thursday, May 2, 2019, 12:30 PM – 1:45 PM. For more info visit newscenter.sdsu.edu. Aztec Recreation Event Type: Recreation. Contact Name: Benjamin Ramaeker. Friday, May 3, 2019, 12:00 AM – Sunday, May 5, 2019, 12:00 AM. Mount San Jacinto. For more info visit www.facebook.com. Aztec Recreation Event Type: Recreation. Contact Name: Benjamin Ramaeker. Friday, May 3, 2019, 12:00 AM – Sunday, May 5, 2019, 12:00 AM. Yosemite National Park. For more info visit www.facebook.com. Student Organizations Room: SLL - Glazer Center. Event Type: Trainings. Friday, May 3, 2019, 9:30 AM – 11:30 AM. Academic Affairs The exhibit explores the Theosophical community of Lomaland, which flourished on Point Loma, San Diego from 1898 until 1942. A contemplative, intentional community, Lomaland was an experiment to make Theosophy “intensely practical,” according to its founder and spiritual leader, Katherine Tingley. Inspired by the ideals found in late 19th century Theosophy and the New England Transcendentalism of her childhood, Tingley’s charismatic personality and vision drew together participants from more than twenty countries. She established the ‘School for the Revival of the Lost Mysteries of Antiquity’ and the ‘Raja Yoga School’ for children, which embraced dramatic productions, music, art, and literature. Reaching its peak of nearly 500 residents by 1920, Lomaland developed into a vibrant community based on Universalist ethics and altruistic ideals, and became the cultural and educational hub of a growing San Diego. Campus Location: Library/Information Access. Room: LA4410. Event Type: Exhibits. Contact Name: Robert Ray. Contact Email: robert.ray@sdsu.edu. Contact Phone: x44303. Friday, May 3, 2019, 10:00 AM – 4:00 PM. For more info visit library.sdsu.edu. Arts Alive In Transit is a multidisciplinary exhibition featuring the work of five artists who have forged relationships with and documented the lives of individuals fleeing intolerable hardship by migrating into Europe over the last seven years. Focusing on the tentative, limbo-like experience of living between different cultures, the selection explores dynamic stories of immigrants and refugees who traverse the no man’s land existing between home and hope. The artworks illustrate the physical and psychological challenges, while looking at the deeper discussion of what constitutes citizenship in the wake of these enormous migrations. Through their photographs, the artists strive to disrupt accepted misconceptions about immigration and otherness. Artists included in the exhibition are: Tanya Habjouqa (JO)Gohar Dashti (IR)George Awde (USA/LB) Daniel Castro Garcia (UK)Stefanie Zofia Schulz (DE). Campus Location: SDSU Downtown Gallery. Event Type: Arts & Culture. Exhibits. Contact Name: Chantel Paul. Contact Email: sdsudtg@gmail.com. Contact Phone: 6195016370. Friday, May 3, 2019, 11:00 AM – 4:00 PM. For more info visit art.sdsu.edu. Student Organizations Room: SLL - Glazer Center. Event Type: Trainings. Friday, May 3, 2019, 12:00 PM – 2:00 PM. ISC Events International and domestic students share their culture with the SDSU community every Friday at the ISC! International Coffee Hour is a long standing tradition at the International Student Center. Every Friday, from 12 noon until 1 pm, students share their culture through performances, presentations, songs and, of course, food. The International Student Association (ISA) sponsors the event by providing a $100 stipend to students to help prepare for their coffee hour. $1 Donations are encouraged to help support ISA. Whether you want to participate by planning a coffee hour and sharing your culture, or if you want to experience and learn about a different culture each week, everyone is welcome! Campus Location: International Student Center. Room: International Student Center Lounge. Event Type: Student Activities. Contact Name: Roselyn Enwemeka. Contact Email: internationalevents@sdsu.edu. Contact Phone: (619)-594-0679. Friday, May 3, 2019, 12:00 PM – 1:00 PM. For more info visit go.sdsu.edu. SDSU Student Life Both New Presidents & Treasurers from each organization must complete the RSO Leadership Training before your organization can be fully Recognized for the 2018-2019 academic year. The Officer RSO Leadership Training will be offered throughout the summer, fall and spring semesters. Campus Location: Conrad Prebys Aztec Student Union. Room: Glazer Center for Leadership & Service (2nd floor of Aztec Student Union, Suite 210). Event Type: Student Activities. Contact Name: Student Life & Leadership. Contact Email: sll@sdsu.edu. Contact Phone: 6195945221. Friday, May 3, 2019, 2:30 PM – 4:30 PM. For more info visit sll.sdsu.edu. Student Organizations Room: SLL - Glazer Center. Event Type: Trainings. Saturday, May 4, 2019, 9:30 AM – 11:30 AM. Arts Alive In Transit is a multidisciplinary exhibition featuring the work of five artists who have forged relationships with and documented the lives of individuals fleeing intolerable hardship by migrating into Europe over the last seven years. Focusing on the tentative, limbo-like experience of living between different cultures, the selection explores dynamic stories of immigrants and refugees who traverse the no man’s land existing between home and hope. The artworks illustrate the physical and psychological challenges, while looking at the deeper discussion of what constitutes citizenship in the wake of these enormous migrations. Through their photographs, the artists strive to disrupt accepted misconceptions about immigration and otherness. Artists included in the exhibition are: Tanya Habjouqa (JO)Gohar Dashti (IR)George Awde (USA/LB) Daniel Castro Garcia (UK)Stefanie Zofia Schulz (DE). Campus Location: SDSU Downtown Gallery. Event Type: Arts & Culture. Exhibits. Contact Name: Chantel Paul. Contact Email: sdsudtg@gmail.com. Contact Phone: 6195016370. Saturday, May 4, 2019, 11:00 AM – 4:00 PM. For more info visit art.sdsu.edu. Student Organizations Room: SLL - Glazer Center. Event Type: Trainings. Saturday, May 4, 2019, 12:00 PM – 2:00 PM. Arts Alive In Transit is a multidisciplinary exhibition featuring the work of five artists who have forged relationships with and documented the lives of individuals fleeing intolerable hardship by migrating into Europe over the last seven years. Focusing on the tentative, limbo-like experience of living between different cultures, the selection explores dynamic stories of immigrants and refugees who traverse the no man’s land existing between home and hope. The artworks illustrate the physical and psychological challenges, while looking at the deeper discussion of what constitutes citizenship in the wake of these enormous migrations. Through their photographs, the artists strive to disrupt accepted misconceptions about immigration and otherness. Artists included in the exhibition are: Tanya Habjouqa (JO)Gohar Dashti (IR)George Awde (USA/LB) Daniel Castro Garcia (UK)Stefanie Zofia Schulz (DE). Campus Location: SDSU Downtown Gallery. Event Type: Arts & Culture. Exhibits. Contact Name: Chantel Paul. Contact Email: sdsudtg@gmail.com. Contact Phone: 6195016370. Sunday, May 5, 2019, 11:00 AM – 4:00 PM. For more info visit art.sdsu.edu. Aztec Recreation Campus Location: Aztec Aquaplex. Event Type: Recreation. Sunday, May 5, 2019, 12:00 PM – 4:00 PM. For more info visit arc.sdsu.edu. Academic Affairs The exhibit explores the Theosophical community of Lomaland, which flourished on Point Loma, San Diego from 1898 until 1942. A contemplative, intentional community, Lomaland was an experiment to make Theosophy “intensely practical,” according to its founder and spiritual leader, Katherine Tingley. Inspired by the ideals found in late 19th century Theosophy and the New England Transcendentalism of her childhood, Tingley’s charismatic personality and vision drew together participants from more than twenty countries. She established the ‘School for the Revival of the Lost Mysteries of Antiquity’ and the ‘Raja Yoga School’ for children, which embraced dramatic productions, music, art, and literature. Reaching its peak of nearly 500 residents by 1920, Lomaland developed into a vibrant community based on Universalist ethics and altruistic ideals, and became the cultural and educational hub of a growing San Diego. Campus Location: Library/Information Access. Room: LA4410. Event Type: Exhibits. Contact Name: Robert Ray. Contact Email: robert.ray@sdsu.edu. Contact Phone: x44303. Monday, May 6, 2019, 10:00 AM – 4:00 PM. For more info visit library.sdsu.edu. Arts Alive In Transit is a multidisciplinary exhibition featuring the work of five artists who have forged relationships with and documented the lives of individuals fleeing intolerable hardship by migrating into Europe over the last seven years. Focusing on the tentative, limbo-like experience of living between different cultures, the selection explores dynamic stories of immigrants and refugees who traverse the no man’s land existing between home and hope. The artworks illustrate the physical and psychological challenges, while looking at the deeper discussion of what constitutes citizenship in the wake of these enormous migrations. Through their photographs, the artists strive to disrupt accepted misconceptions about immigration and otherness. Artists included in the exhibition are: Tanya Habjouqa (JO)Gohar Dashti (IR)George Awde (USA/LB) Daniel Castro Garcia (UK)Stefanie Zofia Schulz (DE). Campus Location: SDSU Downtown Gallery. Event Type: Arts & Culture. Exhibits. Contact Name: Chantel Paul. Contact Email: sdsudtg@gmail.com. Contact Phone: 6195016370. Monday, May 6, 2019, 11:00 AM – 4:00 PM. For more info visit art.sdsu.edu. Academic and Library The Data Champions Program brings together selected campus administrators, faculty, and staff in an effort to facilitate data-informed decision-making in support of student success. 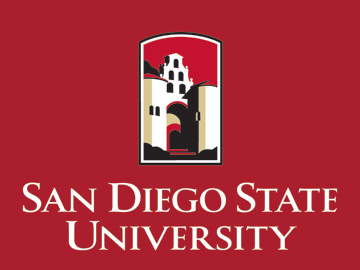 The program is motivated by the CSU Graduation Initiative 2025 (GI2025), SDSU strategic goals, and efforts to expand University data capabilities. By becoming proficient in the data tools available, Data Champions were empowered to identify potential predictors of and barriers to student success and to collaborate with colleagues to develop data-informed actionable solutions. Each college nominated one faculty, staff or administrator to serve as their Data Champion. Data Champion Coaches have assisted Data Champions and their College Student Success Teams by providing hands-on training, analyses support and consultation on institutional data. Each Data Champion and members of their College Student Success Team will be presenting their project via this public poster session. Campus Location: Manchester Hall. Room: Entry Way, Manchester. Event Type: Exhibits. Contact Name: Kathleen King. Contact Email: oir@sdsu.edu. Contact Phone: 6195940907. Monday, May 6, 2019, 11:30 AM – 1:30 PM. For more info visit asir.sdsu.edu. Live Well Aztecs Campus Location: Conrad Prebys Aztec Student Union. Room: Pride Suite. Event Type: Recreation. Contact Name: Amy Schiller. Contact Email: aschiller@sdsu.edu. Monday, May 6, 2019, 12:00 PM – 1:00 PM. For more info visit arc.sdsu.edu. Academic Affairs The exhibit explores the Theosophical community of Lomaland, which flourished on Point Loma, San Diego from 1898 until 1942. A contemplative, intentional community, Lomaland was an experiment to make Theosophy “intensely practical,” according to its founder and spiritual leader, Katherine Tingley. Inspired by the ideals found in late 19th century Theosophy and the New England Transcendentalism of her childhood, Tingley’s charismatic personality and vision drew together participants from more than twenty countries. She established the ‘School for the Revival of the Lost Mysteries of Antiquity’ and the ‘Raja Yoga School’ for children, which embraced dramatic productions, music, art, and literature. Reaching its peak of nearly 500 residents by 1920, Lomaland developed into a vibrant community based on Universalist ethics and altruistic ideals, and became the cultural and educational hub of a growing San Diego. Campus Location: Library/Information Access. Room: LA4410. Event Type: Exhibits. Contact Name: Robert Ray. Contact Email: robert.ray@sdsu.edu. Contact Phone: x44303. Tuesday, May 7, 2019, 10:00 AM – 4:00 PM. For more info visit library.sdsu.edu. Live Well Aztecs Campus Location: Aztec Recreation Center. Room: AMC Room C. Event Type: Recreation. Tuesday, May 7, 2019, 12:00 PM – 12:30 PM. For more info visit arc.sdsu.edu. Associated Students The Associated Students Food Pantry provides nutritious food and food program referral services for SDSU students experiencing food insecurity. Campus Location: Conrad Prebys Aztec Student Union. Room: 2nd Floor. Event Type: Student Activities. Contact Name: Associated Students. Contact Email: associatedstudents@sdsu.edu. Contact Phone: 619-594-6555. Wednesday, May 8, 2019, 10:00 AM – 3:00 PM. For more info visit as.sdsu.edu. Academic Affairs The exhibit explores the Theosophical community of Lomaland, which flourished on Point Loma, San Diego from 1898 until 1942. A contemplative, intentional community, Lomaland was an experiment to make Theosophy “intensely practical,” according to its founder and spiritual leader, Katherine Tingley. Inspired by the ideals found in late 19th century Theosophy and the New England Transcendentalism of her childhood, Tingley’s charismatic personality and vision drew together participants from more than twenty countries. She established the ‘School for the Revival of the Lost Mysteries of Antiquity’ and the ‘Raja Yoga School’ for children, which embraced dramatic productions, music, art, and literature. Reaching its peak of nearly 500 residents by 1920, Lomaland developed into a vibrant community based on Universalist ethics and altruistic ideals, and became the cultural and educational hub of a growing San Diego. Campus Location: Library/Information Access. Room: LA4410. Event Type: Exhibits. Contact Name: Robert Ray. Contact Email: robert.ray@sdsu.edu. Contact Phone: x44303. Wednesday, May 8, 2019, 10:00 AM – 4:00 PM. For more info visit library.sdsu.edu. Associated Students The Associated Students Food Pantry provides nutritious food and food program referral services for SDSU students experiencing food insecurity. Campus Location: North Library Walkway. Room: SDSU Farmer's Market. Event Type: Student Activities. Contact Name: Associated Students. Contact Phone: 619-594-6555. Thursday, May 9, 2019, 10:00 AM – 3:00 PM. For more info visit as.sdsu.edu. Academic Affairs The exhibit explores the Theosophical community of Lomaland, which flourished on Point Loma, San Diego from 1898 until 1942. A contemplative, intentional community, Lomaland was an experiment to make Theosophy “intensely practical,” according to its founder and spiritual leader, Katherine Tingley. Inspired by the ideals found in late 19th century Theosophy and the New England Transcendentalism of her childhood, Tingley’s charismatic personality and vision drew together participants from more than twenty countries. She established the ‘School for the Revival of the Lost Mysteries of Antiquity’ and the ‘Raja Yoga School’ for children, which embraced dramatic productions, music, art, and literature. Reaching its peak of nearly 500 residents by 1920, Lomaland developed into a vibrant community based on Universalist ethics and altruistic ideals, and became the cultural and educational hub of a growing San Diego. Campus Location: Library/Information Access. Room: LA4410. Event Type: Exhibits. Contact Name: Robert Ray. Contact Email: robert.ray@sdsu.edu. Contact Phone: x44303. Thursday, May 9, 2019, 10:00 AM – 4:00 PM. For more info visit library.sdsu.edu. Student Affairs Congratulations to the class of 2019! Come have a RADD graduation celebration with Health Promotion. We will have activities and tips to help you stay safe while celebrating the end of the semester and your grand achievement! Campus Location: Campanile Walkway. Room: By Hepner Hall. Event Type: Special Events. Contact Name: Well-being & Health Promotion. Contact Email: well-beingandhealthpromotion@sdsu.edu. Contact Phone: 6195944133. Thursday, May 9, 2019, 11:00 AM – 2:00 PM. For more info visit healthpromotion.sdsu.edu. Arts Alive In Transit is a multidisciplinary exhibition featuring the work of five artists who have forged relationships with and documented the lives of individuals fleeing intolerable hardship by migrating into Europe over the last seven years. Focusing on the tentative, limbo-like experience of living between different cultures, the selection explores dynamic stories of immigrants and refugees who traverse the no man’s land existing between home and hope. The artworks illustrate the physical and psychological challenges, while looking at the deeper discussion of what constitutes citizenship in the wake of these enormous migrations. Through their photographs, the artists strive to disrupt accepted misconceptions about immigration and otherness. Artists included in the exhibition are: Tanya Habjouqa (JO)Gohar Dashti (IR)George Awde (USA/LB) Daniel Castro Garcia (UK)Stefanie Zofia Schulz (DE). Campus Location: SDSU Downtown Gallery. Event Type: Arts & Culture. Exhibits. Contact Name: Chantel Paul. Contact Email: sdsudtg@gmail.com. Contact Phone: 6195016370. Thursday, May 9, 2019, 11:00 AM – 4:00 PM. For more info visit art.sdsu.edu. International Student Services **Click on this event for complete information and instructions so you will be prepared for this meeting**, STUDENTS MUST ARRIVE 10-15 MINUTES EARLY! STUDENTS WILL NOT BE ALLOWED TO ENTER THE MEETING AFTER IT HAS BEGUN! During the OPT Application Meeting, students will begin the process of applying for Optional Practical Training (OPT) and learn about the responsibilities for maintaining legal F1 immigration status while on OPT. IMPORTANT! Students must bring hard (paper) copies of all required documents to the OPT Application Meeting. If you do not have hard (paper) copies of the required documents with you, you will not be allowed to attend the meeting. The required document list is on the ISC website for OPT information under the section "OPT How to Apply". Campus Location: International Student Center. Room: ISC Lounge. Event Type: Workshops. Contact Email: isc.reception@sdsu.edu. Contact Phone: 619-594-1982. Thursday, May 9, 2019, 2:00 PM – 4:00 PM. For more info visit go.sdsu.edu. Academic Affairs The exhibit explores the Theosophical community of Lomaland, which flourished on Point Loma, San Diego from 1898 until 1942. A contemplative, intentional community, Lomaland was an experiment to make Theosophy “intensely practical,” according to its founder and spiritual leader, Katherine Tingley. Inspired by the ideals found in late 19th century Theosophy and the New England Transcendentalism of her childhood, Tingley’s charismatic personality and vision drew together participants from more than twenty countries. She established the ‘School for the Revival of the Lost Mysteries of Antiquity’ and the ‘Raja Yoga School’ for children, which embraced dramatic productions, music, art, and literature. Reaching its peak of nearly 500 residents by 1920, Lomaland developed into a vibrant community based on Universalist ethics and altruistic ideals, and became the cultural and educational hub of a growing San Diego. Campus Location: Library/Information Access. Room: LA4410. Event Type: Exhibits. Contact Name: Robert Ray. Contact Email: robert.ray@sdsu.edu. Contact Phone: x44303. Friday, May 10, 2019, 10:00 AM – 4:00 PM. For more info visit library.sdsu.edu. Arts Alive In Transit is a multidisciplinary exhibition featuring the work of five artists who have forged relationships with and documented the lives of individuals fleeing intolerable hardship by migrating into Europe over the last seven years. Focusing on the tentative, limbo-like experience of living between different cultures, the selection explores dynamic stories of immigrants and refugees who traverse the no man’s land existing between home and hope. The artworks illustrate the physical and psychological challenges, while looking at the deeper discussion of what constitutes citizenship in the wake of these enormous migrations. Through their photographs, the artists strive to disrupt accepted misconceptions about immigration and otherness. Artists included in the exhibition are: Tanya Habjouqa (JO)Gohar Dashti (IR)George Awde (USA/LB) Daniel Castro Garcia (UK)Stefanie Zofia Schulz (DE). Campus Location: SDSU Downtown Gallery. Event Type: Arts & Culture. Exhibits. Contact Name: Chantel Paul. Contact Email: sdsudtg@gmail.com. Contact Phone: 6195016370. Friday, May 10, 2019, 11:00 AM – 4:00 PM. For more info visit art.sdsu.edu. Arts Alive In Transit is a multidisciplinary exhibition featuring the work of five artists who have forged relationships with and documented the lives of individuals fleeing intolerable hardship by migrating into Europe over the last seven years. Focusing on the tentative, limbo-like experience of living between different cultures, the selection explores dynamic stories of immigrants and refugees who traverse the no man’s land existing between home and hope. The artworks illustrate the physical and psychological challenges, while looking at the deeper discussion of what constitutes citizenship in the wake of these enormous migrations. Through their photographs, the artists strive to disrupt accepted misconceptions about immigration and otherness. Artists included in the exhibition are: Tanya Habjouqa (JO)Gohar Dashti (IR)George Awde (USA/LB) Daniel Castro Garcia (UK)Stefanie Zofia Schulz (DE). Campus Location: SDSU Downtown Gallery. Event Type: Arts & Culture. Exhibits. Contact Name: Chantel Paul. Contact Email: sdsudtg@gmail.com. Contact Phone: 6195016370. Saturday, May 11, 2019, 11:00 AM – 4:00 PM. For more info visit art.sdsu.edu. Viejas Arena Viejas Arena welcomes Trevor Noah on Saturday, May 11, 2019 at 8pm. The gates open at 7pm. Tickets can be purchased through Ticketmaster; online, by phone or at the Viejas Arena Box office in person. *Service fees may apply. Price and support acts subject to change without notice. Campus Location: Viejas Arena at Aztec Bowl. Event Type: Performances. Special Events. Saturday, May 11, 2019, 8:00 PM – 11:00 PM. For more info visit as.sdsu.edu. Arts Alive In Transit is a multidisciplinary exhibition featuring the work of five artists who have forged relationships with and documented the lives of individuals fleeing intolerable hardship by migrating into Europe over the last seven years. Focusing on the tentative, limbo-like experience of living between different cultures, the selection explores dynamic stories of immigrants and refugees who traverse the no man’s land existing between home and hope. The artworks illustrate the physical and psychological challenges, while looking at the deeper discussion of what constitutes citizenship in the wake of these enormous migrations. Through their photographs, the artists strive to disrupt accepted misconceptions about immigration and otherness. Artists included in the exhibition are: Tanya Habjouqa (JO)Gohar Dashti (IR)George Awde (USA/LB) Daniel Castro Garcia (UK)Stefanie Zofia Schulz (DE). Campus Location: SDSU Downtown Gallery. Event Type: Arts & Culture. Exhibits. Contact Name: Chantel Paul. Contact Email: sdsudtg@gmail.com. Contact Phone: 6195016370. Sunday, May 12, 2019, 11:00 AM – 4:00 PM. For more info visit art.sdsu.edu. Academic Affairs The exhibit explores the Theosophical community of Lomaland, which flourished on Point Loma, San Diego from 1898 until 1942. A contemplative, intentional community, Lomaland was an experiment to make Theosophy “intensely practical,” according to its founder and spiritual leader, Katherine Tingley. Inspired by the ideals found in late 19th century Theosophy and the New England Transcendentalism of her childhood, Tingley’s charismatic personality and vision drew together participants from more than twenty countries. She established the ‘School for the Revival of the Lost Mysteries of Antiquity’ and the ‘Raja Yoga School’ for children, which embraced dramatic productions, music, art, and literature. Reaching its peak of nearly 500 residents by 1920, Lomaland developed into a vibrant community based on Universalist ethics and altruistic ideals, and became the cultural and educational hub of a growing San Diego. Campus Location: Library/Information Access. Room: LA4410. Event Type: Exhibits. Contact Name: Robert Ray. Contact Email: robert.ray@sdsu.edu. Contact Phone: x44303. Monday, May 13, 2019, 10:00 AM – 4:00 PM. For more info visit library.sdsu.edu. Arts Alive In Transit is a multidisciplinary exhibition featuring the work of five artists who have forged relationships with and documented the lives of individuals fleeing intolerable hardship by migrating into Europe over the last seven years. Focusing on the tentative, limbo-like experience of living between different cultures, the selection explores dynamic stories of immigrants and refugees who traverse the no man’s land existing between home and hope. The artworks illustrate the physical and psychological challenges, while looking at the deeper discussion of what constitutes citizenship in the wake of these enormous migrations. Through their photographs, the artists strive to disrupt accepted misconceptions about immigration and otherness. Artists included in the exhibition are: Tanya Habjouqa (JO)Gohar Dashti (IR)George Awde (USA/LB) Daniel Castro Garcia (UK)Stefanie Zofia Schulz (DE). Campus Location: SDSU Downtown Gallery. Event Type: Arts & Culture. Exhibits. Contact Name: Chantel Paul. Contact Email: sdsudtg@gmail.com. Contact Phone: 6195016370. Monday, May 13, 2019, 11:00 AM – 4:00 PM. For more info visit art.sdsu.edu. OPT Application Meeting-FIRST Meeting for Summer 2 Graduates! International Student Services **This is the FIRST meeting available to students who will graduate in Summer Session 2, 2019 and graduate students who need to apply for OPT**, **Click on this event for complete information and instructions so you will be prepared for this meeting**, STUDENTS MUST ARRIVE 10-15 MINUTES EARLY! STUDENTS WILL NOT BE ALLOWED TO ENTER THE MEETING AFTER IT HAS BEGUN! During the OPT Application Meeting, students will begin the process of applying for Optional Practical Training (OPT) and learn about the responsibilities for maintaining legal F1 immigration status while on OPT. IMPORTANT! Students must bring hard (paper) copies of all required documents to the OPT Application Meeting. If you do not have hard (paper) copies of the required documents with you, you will not be allowed to attend the meeting. The required document list is on the ISC website for OPT information under the section "OPT How to Apply". Campus Location: International Student Center. Room: ISC Lounge. Event Type: Workshops. Contact Email: isc.reception@sdsu.edu. Contact Phone: 619-594-1982. Tuesday, May 14, 2019, 9:00 AM – 11:00 AM. For more info visit go.sdsu.edu. Academic Affairs The exhibit explores the Theosophical community of Lomaland, which flourished on Point Loma, San Diego from 1898 until 1942. A contemplative, intentional community, Lomaland was an experiment to make Theosophy “intensely practical,” according to its founder and spiritual leader, Katherine Tingley. Inspired by the ideals found in late 19th century Theosophy and the New England Transcendentalism of her childhood, Tingley’s charismatic personality and vision drew together participants from more than twenty countries. She established the ‘School for the Revival of the Lost Mysteries of Antiquity’ and the ‘Raja Yoga School’ for children, which embraced dramatic productions, music, art, and literature. Reaching its peak of nearly 500 residents by 1920, Lomaland developed into a vibrant community based on Universalist ethics and altruistic ideals, and became the cultural and educational hub of a growing San Diego. Campus Location: Library/Information Access. Room: LA4410. Event Type: Exhibits. Contact Name: Robert Ray. Contact Email: robert.ray@sdsu.edu. Contact Phone: x44303. Tuesday, May 14, 2019, 10:00 AM – 4:00 PM. For more info visit library.sdsu.edu. Associated Students The Associated Students Food Pantry provides nutritious food and food program referral services for SDSU students experiencing food insecurity. Campus Location: Conrad Prebys Aztec Student Union. Room: 2nd Floor. Event Type: Student Activities. Contact Name: Associated Students. Contact Email: associatedstudents@sdsu.edu. Contact Phone: 619-594-6555. Wednesday, May 15, 2019, 10:00 AM – 3:00 PM. For more info visit as.sdsu.edu. Academic Affairs The exhibit explores the Theosophical community of Lomaland, which flourished on Point Loma, San Diego from 1898 until 1942. A contemplative, intentional community, Lomaland was an experiment to make Theosophy “intensely practical,” according to its founder and spiritual leader, Katherine Tingley. Inspired by the ideals found in late 19th century Theosophy and the New England Transcendentalism of her childhood, Tingley’s charismatic personality and vision drew together participants from more than twenty countries. She established the ‘School for the Revival of the Lost Mysteries of Antiquity’ and the ‘Raja Yoga School’ for children, which embraced dramatic productions, music, art, and literature. Reaching its peak of nearly 500 residents by 1920, Lomaland developed into a vibrant community based on Universalist ethics and altruistic ideals, and became the cultural and educational hub of a growing San Diego. Campus Location: Library/Information Access. Room: LA4410. Event Type: Exhibits. Contact Name: Robert Ray. Contact Email: robert.ray@sdsu.edu. Contact Phone: x44303. Wednesday, May 15, 2019, 10:00 AM – 4:00 PM. For more info visit library.sdsu.edu. Academic Affairs The exhibit explores the Theosophical community of Lomaland, which flourished on Point Loma, San Diego from 1898 until 1942. A contemplative, intentional community, Lomaland was an experiment to make Theosophy “intensely practical,” according to its founder and spiritual leader, Katherine Tingley. Inspired by the ideals found in late 19th century Theosophy and the New England Transcendentalism of her childhood, Tingley’s charismatic personality and vision drew together participants from more than twenty countries. She established the ‘School for the Revival of the Lost Mysteries of Antiquity’ and the ‘Raja Yoga School’ for children, which embraced dramatic productions, music, art, and literature. Reaching its peak of nearly 500 residents by 1920, Lomaland developed into a vibrant community based on Universalist ethics and altruistic ideals, and became the cultural and educational hub of a growing San Diego. Campus Location: Library/Information Access. Room: LA4410. Event Type: Exhibits. Contact Name: Robert Ray. Contact Email: robert.ray@sdsu.edu. Contact Phone: x44303. Thursday, May 16, 2019, 10:00 AM – 4:00 PM. For more info visit library.sdsu.edu. Arts Alive In Transit is a multidisciplinary exhibition featuring the work of five artists who have forged relationships with and documented the lives of individuals fleeing intolerable hardship by migrating into Europe over the last seven years. Focusing on the tentative, limbo-like experience of living between different cultures, the selection explores dynamic stories of immigrants and refugees who traverse the no man’s land existing between home and hope. The artworks illustrate the physical and psychological challenges, while looking at the deeper discussion of what constitutes citizenship in the wake of these enormous migrations. Through their photographs, the artists strive to disrupt accepted misconceptions about immigration and otherness. Artists included in the exhibition are: Tanya Habjouqa (JO)Gohar Dashti (IR)George Awde (USA/LB) Daniel Castro Garcia (UK)Stefanie Zofia Schulz (DE). Campus Location: SDSU Downtown Gallery. Event Type: Arts & Culture. Exhibits. Contact Name: Chantel Paul. Contact Email: sdsudtg@gmail.com. Contact Phone: 6195016370. Thursday, May 16, 2019, 11:00 AM – 4:00 PM. For more info visit art.sdsu.edu. Academic Affairs The exhibit explores the Theosophical community of Lomaland, which flourished on Point Loma, San Diego from 1898 until 1942. A contemplative, intentional community, Lomaland was an experiment to make Theosophy “intensely practical,” according to its founder and spiritual leader, Katherine Tingley. Inspired by the ideals found in late 19th century Theosophy and the New England Transcendentalism of her childhood, Tingley’s charismatic personality and vision drew together participants from more than twenty countries. She established the ‘School for the Revival of the Lost Mysteries of Antiquity’ and the ‘Raja Yoga School’ for children, which embraced dramatic productions, music, art, and literature. Reaching its peak of nearly 500 residents by 1920, Lomaland developed into a vibrant community based on Universalist ethics and altruistic ideals, and became the cultural and educational hub of a growing San Diego. Campus Location: Library/Information Access. Room: LA4410. Event Type: Exhibits. Contact Name: Robert Ray. Contact Email: robert.ray@sdsu.edu. Contact Phone: x44303. Friday, May 17, 2019, 10:00 AM – 4:00 PM. For more info visit library.sdsu.edu. Arts Alive In Transit is a multidisciplinary exhibition featuring the work of five artists who have forged relationships with and documented the lives of individuals fleeing intolerable hardship by migrating into Europe over the last seven years. Focusing on the tentative, limbo-like experience of living between different cultures, the selection explores dynamic stories of immigrants and refugees who traverse the no man’s land existing between home and hope. The artworks illustrate the physical and psychological challenges, while looking at the deeper discussion of what constitutes citizenship in the wake of these enormous migrations. Through their photographs, the artists strive to disrupt accepted misconceptions about immigration and otherness. Artists included in the exhibition are: Tanya Habjouqa (JO)Gohar Dashti (IR)George Awde (USA/LB) Daniel Castro Garcia (UK)Stefanie Zofia Schulz (DE). Campus Location: SDSU Downtown Gallery. Event Type: Arts & Culture. Exhibits. Contact Name: Chantel Paul. Contact Email: sdsudtg@gmail.com. Contact Phone: 6195016370. Friday, May 17, 2019, 11:00 AM – 4:00 PM. For more info visit art.sdsu.edu. Arts Alive In Transit is a multidisciplinary exhibition featuring the work of five artists who have forged relationships with and documented the lives of individuals fleeing intolerable hardship by migrating into Europe over the last seven years. Focusing on the tentative, limbo-like experience of living between different cultures, the selection explores dynamic stories of immigrants and refugees who traverse the no man’s land existing between home and hope. The artworks illustrate the physical and psychological challenges, while looking at the deeper discussion of what constitutes citizenship in the wake of these enormous migrations. Through their photographs, the artists strive to disrupt accepted misconceptions about immigration and otherness. Artists included in the exhibition are: Tanya Habjouqa (JO)Gohar Dashti (IR)George Awde (USA/LB) Daniel Castro Garcia (UK)Stefanie Zofia Schulz (DE). Campus Location: SDSU Downtown Gallery. Event Type: Arts & Culture. Exhibits. Contact Name: Chantel Paul. Contact Email: sdsudtg@gmail.com. Contact Phone: 6195016370. Saturday, May 18, 2019, 11:00 AM – 4:00 PM. For more info visit art.sdsu.edu. Arts Alive In Transit is a multidisciplinary exhibition featuring the work of five artists who have forged relationships with and documented the lives of individuals fleeing intolerable hardship by migrating into Europe over the last seven years. Focusing on the tentative, limbo-like experience of living between different cultures, the selection explores dynamic stories of immigrants and refugees who traverse the no man’s land existing between home and hope. The artworks illustrate the physical and psychological challenges, while looking at the deeper discussion of what constitutes citizenship in the wake of these enormous migrations. Through their photographs, the artists strive to disrupt accepted misconceptions about immigration and otherness. Artists included in the exhibition are: Tanya Habjouqa (JO)Gohar Dashti (IR)George Awde (USA/LB) Daniel Castro Garcia (UK)Stefanie Zofia Schulz (DE). Campus Location: SDSU Downtown Gallery. Event Type: Arts & Culture. Exhibits. Contact Name: Chantel Paul. Contact Email: sdsudtg@gmail.com. Contact Phone: 6195016370. Sunday, May 19, 2019, 11:00 AM – 4:00 PM. For more info visit art.sdsu.edu. Academic Affairs The exhibit explores the Theosophical community of Lomaland, which flourished on Point Loma, San Diego from 1898 until 1942. A contemplative, intentional community, Lomaland was an experiment to make Theosophy “intensely practical,” according to its founder and spiritual leader, Katherine Tingley. Inspired by the ideals found in late 19th century Theosophy and the New England Transcendentalism of her childhood, Tingley’s charismatic personality and vision drew together participants from more than twenty countries. She established the ‘School for the Revival of the Lost Mysteries of Antiquity’ and the ‘Raja Yoga School’ for children, which embraced dramatic productions, music, art, and literature. Reaching its peak of nearly 500 residents by 1920, Lomaland developed into a vibrant community based on Universalist ethics and altruistic ideals, and became the cultural and educational hub of a growing San Diego. Campus Location: Library/Information Access. Room: LA4410. Event Type: Exhibits. Contact Name: Robert Ray. Contact Email: robert.ray@sdsu.edu. Contact Phone: x44303. Monday, May 20, 2019, 10:00 AM – 4:00 PM. For more info visit library.sdsu.edu. Arts Alive In Transit is a multidisciplinary exhibition featuring the work of five artists who have forged relationships with and documented the lives of individuals fleeing intolerable hardship by migrating into Europe over the last seven years. Focusing on the tentative, limbo-like experience of living between different cultures, the selection explores dynamic stories of immigrants and refugees who traverse the no man’s land existing between home and hope. The artworks illustrate the physical and psychological challenges, while looking at the deeper discussion of what constitutes citizenship in the wake of these enormous migrations. Through their photographs, the artists strive to disrupt accepted misconceptions about immigration and otherness. Artists included in the exhibition are: Tanya Habjouqa (JO)Gohar Dashti (IR)George Awde (USA/LB) Daniel Castro Garcia (UK)Stefanie Zofia Schulz (DE). Campus Location: SDSU Downtown Gallery. Event Type: Arts & Culture. Exhibits. Contact Name: Chantel Paul. Contact Email: sdsudtg@gmail.com. Contact Phone: 6195016370. Monday, May 20, 2019, 11:00 AM – 4:00 PM. For more info visit art.sdsu.edu. Academic Affairs The exhibit explores the Theosophical community of Lomaland, which flourished on Point Loma, San Diego from 1898 until 1942. A contemplative, intentional community, Lomaland was an experiment to make Theosophy “intensely practical,” according to its founder and spiritual leader, Katherine Tingley. Inspired by the ideals found in late 19th century Theosophy and the New England Transcendentalism of her childhood, Tingley’s charismatic personality and vision drew together participants from more than twenty countries. She established the ‘School for the Revival of the Lost Mysteries of Antiquity’ and the ‘Raja Yoga School’ for children, which embraced dramatic productions, music, art, and literature. Reaching its peak of nearly 500 residents by 1920, Lomaland developed into a vibrant community based on Universalist ethics and altruistic ideals, and became the cultural and educational hub of a growing San Diego. Campus Location: Library/Information Access. Room: LA4410. Event Type: Exhibits. Contact Name: Robert Ray. Contact Email: robert.ray@sdsu.edu. Contact Phone: x44303. Tuesday, May 21, 2019, 10:00 AM – 4:00 PM. For more info visit library.sdsu.edu. Academic Affairs The exhibit explores the Theosophical community of Lomaland, which flourished on Point Loma, San Diego from 1898 until 1942. A contemplative, intentional community, Lomaland was an experiment to make Theosophy “intensely practical,” according to its founder and spiritual leader, Katherine Tingley. Inspired by the ideals found in late 19th century Theosophy and the New England Transcendentalism of her childhood, Tingley’s charismatic personality and vision drew together participants from more than twenty countries. She established the ‘School for the Revival of the Lost Mysteries of Antiquity’ and the ‘Raja Yoga School’ for children, which embraced dramatic productions, music, art, and literature. Reaching its peak of nearly 500 residents by 1920, Lomaland developed into a vibrant community based on Universalist ethics and altruistic ideals, and became the cultural and educational hub of a growing San Diego. Campus Location: Library/Information Access. Room: LA4410. Event Type: Exhibits. Contact Name: Robert Ray. Contact Email: robert.ray@sdsu.edu. Contact Phone: x44303. Wednesday, May 22, 2019, 10:00 AM – 4:00 PM. For more info visit library.sdsu.edu. International Student Services **Click on this event for complete information and instructions so you will be prepared for this meeting**, STUDENTS MUST ARRIVE 10-15 MINUTES EARLY! STUDENTS WILL NOT BE ALLOWED TO ENTER THE MEETING AFTER IT HAS BEGUN! During the OPT Application Meeting, students will begin the process of applying for Optional Practical Training (OPT) and learn about the responsibilities for maintaining legal F1 immigration status while on OPT. IMPORTANT! Students must bring hard (paper) copies of all required documents to the OPT Application Meeting. If you do not have hard (paper) copies of the required documents with you, you will not be allowed to attend the meeting. The required document list is on the ISC website for OPT information under the section "OPT How to Apply". Campus Location: International Student Center. Room: ISC Lounge. Event Type: Workshops. Contact Email: isc.reception@sdsu.edu. Contact Phone: 619-594-1982. Thursday, May 23, 2019, 10:00 AM – 12:00 PM. For more info visit go.sdsu.edu. Academic Affairs The exhibit explores the Theosophical community of Lomaland, which flourished on Point Loma, San Diego from 1898 until 1942. A contemplative, intentional community, Lomaland was an experiment to make Theosophy “intensely practical,” according to its founder and spiritual leader, Katherine Tingley. Inspired by the ideals found in late 19th century Theosophy and the New England Transcendentalism of her childhood, Tingley’s charismatic personality and vision drew together participants from more than twenty countries. She established the ‘School for the Revival of the Lost Mysteries of Antiquity’ and the ‘Raja Yoga School’ for children, which embraced dramatic productions, music, art, and literature. Reaching its peak of nearly 500 residents by 1920, Lomaland developed into a vibrant community based on Universalist ethics and altruistic ideals, and became the cultural and educational hub of a growing San Diego. Campus Location: Library/Information Access. Room: LA4410. Event Type: Exhibits. Contact Name: Robert Ray. Contact Email: robert.ray@sdsu.edu. Contact Phone: x44303. Thursday, May 23, 2019, 10:00 AM – 4:00 PM. For more info visit library.sdsu.edu. Arts Alive In Transit is a multidisciplinary exhibition featuring the work of five artists who have forged relationships with and documented the lives of individuals fleeing intolerable hardship by migrating into Europe over the last seven years. Focusing on the tentative, limbo-like experience of living between different cultures, the selection explores dynamic stories of immigrants and refugees who traverse the no man’s land existing between home and hope. The artworks illustrate the physical and psychological challenges, while looking at the deeper discussion of what constitutes citizenship in the wake of these enormous migrations. Through their photographs, the artists strive to disrupt accepted misconceptions about immigration and otherness. Artists included in the exhibition are: Tanya Habjouqa (JO)Gohar Dashti (IR)George Awde (USA/LB) Daniel Castro Garcia (UK)Stefanie Zofia Schulz (DE). Campus Location: SDSU Downtown Gallery. Event Type: Arts & Culture. Exhibits. Contact Name: Chantel Paul. Contact Email: sdsudtg@gmail.com. Contact Phone: 6195016370. Thursday, May 23, 2019, 11:00 AM – 4:00 PM. For more info visit art.sdsu.edu. Viejas Arena Viejas Arena welcomes New Kids On The Block on Thursday, May 23, 2019 at 7:30pm. The gates open at 6pm. Tickets can be purchased through Ticketmaster; online, by phone or at the Viejas Arena Box office in person. *Service fees may apply. Price and support acts subject to change without notice. Campus Location: Viejas Arena at Aztec Bowl. Event Type: Performances. Special Events. Thursday, May 23, 2019, 7:30 PM – 11:00 PM. For more info visit as.sdsu.edu. Student Organizations Room: SLL - Commuter Resource Center. Event Type: Trainings. Friday, May 24, 2019, 9:30 AM – 11:30 AM. Academic Affairs The exhibit explores the Theosophical community of Lomaland, which flourished on Point Loma, San Diego from 1898 until 1942. A contemplative, intentional community, Lomaland was an experiment to make Theosophy “intensely practical,” according to its founder and spiritual leader, Katherine Tingley. Inspired by the ideals found in late 19th century Theosophy and the New England Transcendentalism of her childhood, Tingley’s charismatic personality and vision drew together participants from more than twenty countries. She established the ‘School for the Revival of the Lost Mysteries of Antiquity’ and the ‘Raja Yoga School’ for children, which embraced dramatic productions, music, art, and literature. Reaching its peak of nearly 500 residents by 1920, Lomaland developed into a vibrant community based on Universalist ethics and altruistic ideals, and became the cultural and educational hub of a growing San Diego. Campus Location: Library/Information Access. Room: LA4410. Event Type: Exhibits. Contact Name: Robert Ray. Contact Email: robert.ray@sdsu.edu. Contact Phone: x44303. Friday, May 24, 2019, 10:00 AM – 4:00 PM. For more info visit library.sdsu.edu. Arts Alive In Transit is a multidisciplinary exhibition featuring the work of five artists who have forged relationships with and documented the lives of individuals fleeing intolerable hardship by migrating into Europe over the last seven years. Focusing on the tentative, limbo-like experience of living between different cultures, the selection explores dynamic stories of immigrants and refugees who traverse the no man’s land existing between home and hope. The artworks illustrate the physical and psychological challenges, while looking at the deeper discussion of what constitutes citizenship in the wake of these enormous migrations. Through their photographs, the artists strive to disrupt accepted misconceptions about immigration and otherness. Artists included in the exhibition are: Tanya Habjouqa (JO)Gohar Dashti (IR)George Awde (USA/LB) Daniel Castro Garcia (UK)Stefanie Zofia Schulz (DE). Campus Location: SDSU Downtown Gallery. Event Type: Arts & Culture. Exhibits. Contact Name: Chantel Paul. Contact Email: sdsudtg@gmail.com. Contact Phone: 6195016370. Friday, May 24, 2019, 11:00 AM – 4:00 PM. For more info visit art.sdsu.edu. Student Organizations Room: SLL - Commuter Resource Center. Event Type: Trainings. Friday, May 24, 2019, 12:00 PM – 2:00 PM. SDSU Student Life Both New Presidents & Treasurers from each organization must complete the RSO Leadership Training before your organization can be fully Recognized for the 2018-2019 academic year. The Officer RSO Leadership Training will be offered throughout the summer, fall and spring semesters. Campus Location: Conrad Prebys Aztec Student Union. Room: Glazer Center for Leadership & Service (2nd floor of Aztec Student Union, Suite 210). Event Type: Student Activities. Contact Name: Student Life & Leadership. Contact Email: sll@sdsu.edu. Contact Phone: 6195945221. Friday, May 24, 2019, 2:30 PM – 4:30 PM. For more info visit sll.sdsu.edu. Viejas Arena Viejas Arena welcomes Wisin y Yandel on Friday, May 24th at 7:30pm. The gates open at 6:30pm. Tickets can be purchased through Ticketmaster; online, by phone or at the Viejas Arena box office in person. *Service fees may apply. Prices and support acts subject to change without notice. Campus Location: Viejas Arena at Aztec Bowl. Event Type: Performances. Special Events. Friday, May 24, 2019, 7:30 PM – 11:00 PM. For more info visit as.sdsu.edu. Aztec Recreation Event Type: Recreation. Contact Name: Benjamin Ramaeker. Saturday, May 25, 2019, 12:00 AM – Tuesday, May 28, 2019, 12:00 AM. Colorado River Black Canyon. For more info visit www.facebook.com. Student Organizations Room: SLL - Glazer Center. Event Type: Trainings. Saturday, May 25, 2019, 9:30 AM – 11:30 AM. Arts Alive In Transit is a multidisciplinary exhibition featuring the work of five artists who have forged relationships with and documented the lives of individuals fleeing intolerable hardship by migrating into Europe over the last seven years. Focusing on the tentative, limbo-like experience of living between different cultures, the selection explores dynamic stories of immigrants and refugees who traverse the no man’s land existing between home and hope. The artworks illustrate the physical and psychological challenges, while looking at the deeper discussion of what constitutes citizenship in the wake of these enormous migrations. Through their photographs, the artists strive to disrupt accepted misconceptions about immigration and otherness. Artists included in the exhibition are: Tanya Habjouqa (JO)Gohar Dashti (IR)George Awde (USA/LB) Daniel Castro Garcia (UK)Stefanie Zofia Schulz (DE). Campus Location: SDSU Downtown Gallery. Event Type: Arts & Culture. Exhibits. Contact Name: Chantel Paul. Contact Email: sdsudtg@gmail.com. Contact Phone: 6195016370. Saturday, May 25, 2019, 11:00 AM – 4:00 PM. For more info visit art.sdsu.edu. Student Organizations Room: SLL - Glazer Center. Event Type: Trainings. Saturday, May 25, 2019, 12:00 PM – 2:00 PM. Arts Alive In Transit is a multidisciplinary exhibition featuring the work of five artists who have forged relationships with and documented the lives of individuals fleeing intolerable hardship by migrating into Europe over the last seven years. Focusing on the tentative, limbo-like experience of living between different cultures, the selection explores dynamic stories of immigrants and refugees who traverse the no man’s land existing between home and hope. The artworks illustrate the physical and psychological challenges, while looking at the deeper discussion of what constitutes citizenship in the wake of these enormous migrations. Through their photographs, the artists strive to disrupt accepted misconceptions about immigration and otherness. Artists included in the exhibition are: Tanya Habjouqa (JO)Gohar Dashti (IR)George Awde (USA/LB) Daniel Castro Garcia (UK)Stefanie Zofia Schulz (DE). Campus Location: SDSU Downtown Gallery. Event Type: Arts & Culture. Exhibits. Contact Name: Chantel Paul. Contact Email: sdsudtg@gmail.com. Contact Phone: 6195016370. Sunday, May 26, 2019, 11:00 AM – 4:00 PM. For more info visit art.sdsu.edu. Academic Affairs The exhibit explores the Theosophical community of Lomaland, which flourished on Point Loma, San Diego from 1898 until 1942. A contemplative, intentional community, Lomaland was an experiment to make Theosophy “intensely practical,” according to its founder and spiritual leader, Katherine Tingley. Inspired by the ideals found in late 19th century Theosophy and the New England Transcendentalism of her childhood, Tingley’s charismatic personality and vision drew together participants from more than twenty countries. She established the ‘School for the Revival of the Lost Mysteries of Antiquity’ and the ‘Raja Yoga School’ for children, which embraced dramatic productions, music, art, and literature. Reaching its peak of nearly 500 residents by 1920, Lomaland developed into a vibrant community based on Universalist ethics and altruistic ideals, and became the cultural and educational hub of a growing San Diego. Campus Location: Library/Information Access. Room: LA4410. Event Type: Exhibits. Contact Name: Robert Ray. Contact Email: robert.ray@sdsu.edu. Contact Phone: x44303. Monday, May 27, 2019, 10:00 AM – 4:00 PM. For more info visit library.sdsu.edu. Arts Alive In Transit is a multidisciplinary exhibition featuring the work of five artists who have forged relationships with and documented the lives of individuals fleeing intolerable hardship by migrating into Europe over the last seven years. Focusing on the tentative, limbo-like experience of living between different cultures, the selection explores dynamic stories of immigrants and refugees who traverse the no man’s land existing between home and hope. The artworks illustrate the physical and psychological challenges, while looking at the deeper discussion of what constitutes citizenship in the wake of these enormous migrations. Through their photographs, the artists strive to disrupt accepted misconceptions about immigration and otherness. Artists included in the exhibition are: Tanya Habjouqa (JO)Gohar Dashti (IR)George Awde (USA/LB) Daniel Castro Garcia (UK)Stefanie Zofia Schulz (DE). Campus Location: SDSU Downtown Gallery. Event Type: Arts & Culture. Exhibits. Contact Name: Chantel Paul. Contact Email: sdsudtg@gmail.com. Contact Phone: 6195016370. Monday, May 27, 2019, 11:00 AM – 4:00 PM. For more info visit art.sdsu.edu. Academic Affairs The exhibit explores the Theosophical community of Lomaland, which flourished on Point Loma, San Diego from 1898 until 1942. A contemplative, intentional community, Lomaland was an experiment to make Theosophy “intensely practical,” according to its founder and spiritual leader, Katherine Tingley. Inspired by the ideals found in late 19th century Theosophy and the New England Transcendentalism of her childhood, Tingley’s charismatic personality and vision drew together participants from more than twenty countries. She established the ‘School for the Revival of the Lost Mysteries of Antiquity’ and the ‘Raja Yoga School’ for children, which embraced dramatic productions, music, art, and literature. Reaching its peak of nearly 500 residents by 1920, Lomaland developed into a vibrant community based on Universalist ethics and altruistic ideals, and became the cultural and educational hub of a growing San Diego. Campus Location: Library/Information Access. Room: LA4410. Event Type: Exhibits. Contact Name: Robert Ray. Contact Email: robert.ray@sdsu.edu. Contact Phone: x44303. Tuesday, May 28, 2019, 10:00 AM – 4:00 PM. For more info visit library.sdsu.edu. Academic Affairs The exhibit explores the Theosophical community of Lomaland, which flourished on Point Loma, San Diego from 1898 until 1942. A contemplative, intentional community, Lomaland was an experiment to make Theosophy “intensely practical,” according to its founder and spiritual leader, Katherine Tingley. Inspired by the ideals found in late 19th century Theosophy and the New England Transcendentalism of her childhood, Tingley’s charismatic personality and vision drew together participants from more than twenty countries. She established the ‘School for the Revival of the Lost Mysteries of Antiquity’ and the ‘Raja Yoga School’ for children, which embraced dramatic productions, music, art, and literature. Reaching its peak of nearly 500 residents by 1920, Lomaland developed into a vibrant community based on Universalist ethics and altruistic ideals, and became the cultural and educational hub of a growing San Diego. Campus Location: Library/Information Access. Room: LA4410. Event Type: Exhibits. Contact Name: Robert Ray. Contact Email: robert.ray@sdsu.edu. Contact Phone: x44303. Wednesday, May 29, 2019, 10:00 AM – 4:00 PM. For more info visit library.sdsu.edu. Academic Affairs The exhibit explores the Theosophical community of Lomaland, which flourished on Point Loma, San Diego from 1898 until 1942. A contemplative, intentional community, Lomaland was an experiment to make Theosophy “intensely practical,” according to its founder and spiritual leader, Katherine Tingley. Inspired by the ideals found in late 19th century Theosophy and the New England Transcendentalism of her childhood, Tingley’s charismatic personality and vision drew together participants from more than twenty countries. She established the ‘School for the Revival of the Lost Mysteries of Antiquity’ and the ‘Raja Yoga School’ for children, which embraced dramatic productions, music, art, and literature. Reaching its peak of nearly 500 residents by 1920, Lomaland developed into a vibrant community based on Universalist ethics and altruistic ideals, and became the cultural and educational hub of a growing San Diego. Campus Location: Library/Information Access. Room: LA4410. Event Type: Exhibits. Contact Name: Robert Ray. Contact Email: robert.ray@sdsu.edu. Contact Phone: x44303. Thursday, May 30, 2019, 10:00 AM – 4:00 PM. For more info visit library.sdsu.edu. Arts Alive In Transit is a multidisciplinary exhibition featuring the work of five artists who have forged relationships with and documented the lives of individuals fleeing intolerable hardship by migrating into Europe over the last seven years. Focusing on the tentative, limbo-like experience of living between different cultures, the selection explores dynamic stories of immigrants and refugees who traverse the no man’s land existing between home and hope. The artworks illustrate the physical and psychological challenges, while looking at the deeper discussion of what constitutes citizenship in the wake of these enormous migrations. Through their photographs, the artists strive to disrupt accepted misconceptions about immigration and otherness. Artists included in the exhibition are: Tanya Habjouqa (JO)Gohar Dashti (IR)George Awde (USA/LB) Daniel Castro Garcia (UK)Stefanie Zofia Schulz (DE). Campus Location: SDSU Downtown Gallery. Event Type: Arts & Culture. Exhibits. Contact Name: Chantel Paul. Contact Email: sdsudtg@gmail.com. Contact Phone: 6195016370. Thursday, May 30, 2019, 11:00 AM – 4:00 PM. For more info visit art.sdsu.edu. Academic Affairs The exhibit explores the Theosophical community of Lomaland, which flourished on Point Loma, San Diego from 1898 until 1942. A contemplative, intentional community, Lomaland was an experiment to make Theosophy “intensely practical,” according to its founder and spiritual leader, Katherine Tingley. Inspired by the ideals found in late 19th century Theosophy and the New England Transcendentalism of her childhood, Tingley’s charismatic personality and vision drew together participants from more than twenty countries. She established the ‘School for the Revival of the Lost Mysteries of Antiquity’ and the ‘Raja Yoga School’ for children, which embraced dramatic productions, music, art, and literature. Reaching its peak of nearly 500 residents by 1920, Lomaland developed into a vibrant community based on Universalist ethics and altruistic ideals, and became the cultural and educational hub of a growing San Diego. Campus Location: Library/Information Access. Room: LA4410. Event Type: Exhibits. Contact Name: Robert Ray. Contact Email: robert.ray@sdsu.edu. Contact Phone: x44303. Friday, May 31, 2019, 10:00 AM – 4:00 PM. For more info visit library.sdsu.edu. Arts Alive In Transit is a multidisciplinary exhibition featuring the work of five artists who have forged relationships with and documented the lives of individuals fleeing intolerable hardship by migrating into Europe over the last seven years. Focusing on the tentative, limbo-like experience of living between different cultures, the selection explores dynamic stories of immigrants and refugees who traverse the no man’s land existing between home and hope. The artworks illustrate the physical and psychological challenges, while looking at the deeper discussion of what constitutes citizenship in the wake of these enormous migrations. Through their photographs, the artists strive to disrupt accepted misconceptions about immigration and otherness. Artists included in the exhibition are: Tanya Habjouqa (JO)Gohar Dashti (IR)George Awde (USA/LB) Daniel Castro Garcia (UK)Stefanie Zofia Schulz (DE). Campus Location: SDSU Downtown Gallery. Event Type: Arts & Culture. Exhibits. Contact Name: Chantel Paul. Contact Email: sdsudtg@gmail.com. Contact Phone: 6195016370. Friday, May 31, 2019, 11:00 AM – 4:00 PM. For more info visit art.sdsu.edu. Cal Coast Credit Union Open Air Theatre Cal Coast Credit Union Open Air Theatre welcomes Kidz Bop Kids on Friday, May 31st at 7:00pm. The gates open at 6:00pm. Tickets can be purchased through Ticketmaster; online, by phone or at the Viejas Arena box office in person. *Service fees may apply. Prices and support acts subject to change without notice. Campus Location: Open Air Theatre. Event Type: Performances. Special Events. Friday, May 31, 2019, 7:00 PM – 10:00 PM. For more info visit as.sdsu.edu. Arts Alive In Transit is a multidisciplinary exhibition featuring the work of five artists who have forged relationships with and documented the lives of individuals fleeing intolerable hardship by migrating into Europe over the last seven years. Focusing on the tentative, limbo-like experience of living between different cultures, the selection explores dynamic stories of immigrants and refugees who traverse the no man’s land existing between home and hope. The artworks illustrate the physical and psychological challenges, while looking at the deeper discussion of what constitutes citizenship in the wake of these enormous migrations. Through their photographs, the artists strive to disrupt accepted misconceptions about immigration and otherness. Artists included in the exhibition are: Tanya Habjouqa (JO)Gohar Dashti (IR)George Awde (USA/LB) Daniel Castro Garcia (UK)Stefanie Zofia Schulz (DE). Campus Location: SDSU Downtown Gallery. Event Type: Arts & Culture. Exhibits. Contact Name: Chantel Paul. Contact Email: sdsudtg@gmail.com. Contact Phone: 6195016370. Saturday, June 1, 2019, 11:00 AM – 4:00 PM. For more info visit art.sdsu.edu. Arts Alive In Transit is a multidisciplinary exhibition featuring the work of five artists who have forged relationships with and documented the lives of individuals fleeing intolerable hardship by migrating into Europe over the last seven years. Focusing on the tentative, limbo-like experience of living between different cultures, the selection explores dynamic stories of immigrants and refugees who traverse the no man’s land existing between home and hope. The artworks illustrate the physical and psychological challenges, while looking at the deeper discussion of what constitutes citizenship in the wake of these enormous migrations. Through their photographs, the artists strive to disrupt accepted misconceptions about immigration and otherness. Artists included in the exhibition are: Tanya Habjouqa (JO)Gohar Dashti (IR)George Awde (USA/LB) Daniel Castro Garcia (UK)Stefanie Zofia Schulz (DE). Campus Location: SDSU Downtown Gallery. Event Type: Arts & Culture. Exhibits. Contact Name: Chantel Paul. Contact Email: sdsudtg@gmail.com. Contact Phone: 6195016370. Sunday, June 2, 2019, 11:00 AM – 4:00 PM. For more info visit art.sdsu.edu. Academic Affairs The exhibit explores the Theosophical community of Lomaland, which flourished on Point Loma, San Diego from 1898 until 1942. A contemplative, intentional community, Lomaland was an experiment to make Theosophy “intensely practical,” according to its founder and spiritual leader, Katherine Tingley. Inspired by the ideals found in late 19th century Theosophy and the New England Transcendentalism of her childhood, Tingley’s charismatic personality and vision drew together participants from more than twenty countries. She established the ‘School for the Revival of the Lost Mysteries of Antiquity’ and the ‘Raja Yoga School’ for children, which embraced dramatic productions, music, art, and literature. Reaching its peak of nearly 500 residents by 1920, Lomaland developed into a vibrant community based on Universalist ethics and altruistic ideals, and became the cultural and educational hub of a growing San Diego. Campus Location: Library/Information Access. Room: LA4410. Event Type: Exhibits. Contact Name: Robert Ray. Contact Email: robert.ray@sdsu.edu. Contact Phone: x44303. Monday, June 3, 2019, 10:00 AM – 4:00 PM. For more info visit library.sdsu.edu. Arts Alive In Transit is a multidisciplinary exhibition featuring the work of five artists who have forged relationships with and documented the lives of individuals fleeing intolerable hardship by migrating into Europe over the last seven years. Focusing on the tentative, limbo-like experience of living between different cultures, the selection explores dynamic stories of immigrants and refugees who traverse the no man’s land existing between home and hope. The artworks illustrate the physical and psychological challenges, while looking at the deeper discussion of what constitutes citizenship in the wake of these enormous migrations. Through their photographs, the artists strive to disrupt accepted misconceptions about immigration and otherness. Artists included in the exhibition are: Tanya Habjouqa (JO)Gohar Dashti (IR)George Awde (USA/LB) Daniel Castro Garcia (UK)Stefanie Zofia Schulz (DE). Campus Location: SDSU Downtown Gallery. Event Type: Arts & Culture. Exhibits. Contact Name: Chantel Paul. Contact Email: sdsudtg@gmail.com. Contact Phone: 6195016370. Monday, June 3, 2019, 11:00 AM – 4:00 PM. For more info visit art.sdsu.edu. Academic Affairs The exhibit explores the Theosophical community of Lomaland, which flourished on Point Loma, San Diego from 1898 until 1942. A contemplative, intentional community, Lomaland was an experiment to make Theosophy “intensely practical,” according to its founder and spiritual leader, Katherine Tingley. Inspired by the ideals found in late 19th century Theosophy and the New England Transcendentalism of her childhood, Tingley’s charismatic personality and vision drew together participants from more than twenty countries. She established the ‘School for the Revival of the Lost Mysteries of Antiquity’ and the ‘Raja Yoga School’ for children, which embraced dramatic productions, music, art, and literature. Reaching its peak of nearly 500 residents by 1920, Lomaland developed into a vibrant community based on Universalist ethics and altruistic ideals, and became the cultural and educational hub of a growing San Diego. Campus Location: Library/Information Access. Room: LA4410. Event Type: Exhibits. Contact Name: Robert Ray. Contact Email: robert.ray@sdsu.edu. Contact Phone: x44303. Tuesday, June 4, 2019, 10:00 AM – 4:00 PM. For more info visit library.sdsu.edu. Academic Affairs The exhibit explores the Theosophical community of Lomaland, which flourished on Point Loma, San Diego from 1898 until 1942. A contemplative, intentional community, Lomaland was an experiment to make Theosophy “intensely practical,” according to its founder and spiritual leader, Katherine Tingley. Inspired by the ideals found in late 19th century Theosophy and the New England Transcendentalism of her childhood, Tingley’s charismatic personality and vision drew together participants from more than twenty countries. She established the ‘School for the Revival of the Lost Mysteries of Antiquity’ and the ‘Raja Yoga School’ for children, which embraced dramatic productions, music, art, and literature. Reaching its peak of nearly 500 residents by 1920, Lomaland developed into a vibrant community based on Universalist ethics and altruistic ideals, and became the cultural and educational hub of a growing San Diego. Campus Location: Library/Information Access. Room: LA4410. Event Type: Exhibits. Contact Name: Robert Ray. Contact Email: robert.ray@sdsu.edu. Contact Phone: x44303. Wednesday, June 5, 2019, 10:00 AM – 4:00 PM. For more info visit library.sdsu.edu. Academic Affairs The exhibit explores the Theosophical community of Lomaland, which flourished on Point Loma, San Diego from 1898 until 1942. A contemplative, intentional community, Lomaland was an experiment to make Theosophy “intensely practical,” according to its founder and spiritual leader, Katherine Tingley. Inspired by the ideals found in late 19th century Theosophy and the New England Transcendentalism of her childhood, Tingley’s charismatic personality and vision drew together participants from more than twenty countries. She established the ‘School for the Revival of the Lost Mysteries of Antiquity’ and the ‘Raja Yoga School’ for children, which embraced dramatic productions, music, art, and literature. Reaching its peak of nearly 500 residents by 1920, Lomaland developed into a vibrant community based on Universalist ethics and altruistic ideals, and became the cultural and educational hub of a growing San Diego. Campus Location: Library/Information Access. Room: LA4410. Event Type: Exhibits. Contact Name: Robert Ray. Contact Email: robert.ray@sdsu.edu. Contact Phone: x44303. Thursday, June 6, 2019, 10:00 AM – 4:00 PM. For more info visit library.sdsu.edu. Arts Alive In Transit is a multidisciplinary exhibition featuring the work of five artists who have forged relationships with and documented the lives of individuals fleeing intolerable hardship by migrating into Europe over the last seven years. Focusing on the tentative, limbo-like experience of living between different cultures, the selection explores dynamic stories of immigrants and refugees who traverse the no man’s land existing between home and hope. The artworks illustrate the physical and psychological challenges, while looking at the deeper discussion of what constitutes citizenship in the wake of these enormous migrations. Through their photographs, the artists strive to disrupt accepted misconceptions about immigration and otherness. Artists included in the exhibition are: Tanya Habjouqa (JO)Gohar Dashti (IR)George Awde (USA/LB) Daniel Castro Garcia (UK)Stefanie Zofia Schulz (DE). Campus Location: SDSU Downtown Gallery. Event Type: Arts & Culture. Exhibits. Contact Name: Chantel Paul. Contact Email: sdsudtg@gmail.com. Contact Phone: 6195016370. Thursday, June 6, 2019, 11:00 AM – 4:00 PM. For more info visit art.sdsu.edu. Cal Coast Credit Union Open Air Theatre Cal Coast Credit Union Open Air Theatre welcomes Father John Misty / Jason Isbell on Thursday, June 6 at 7:30pm. The gates open at 6:30pm. Tickets can be purchased through Ticketmaster; online, by phone or at the Viejas Arena box office in person. *Service fees may apply. Prices and support acts subject to change without notice. Campus Location: Open Air Theatre. Event Type: Performances. Special Events. Thursday, June 6, 2019, 7:30 PM – 11:00 PM. For more info visit as.sdsu.edu. Academic Affairs The exhibit explores the Theosophical community of Lomaland, which flourished on Point Loma, San Diego from 1898 until 1942. A contemplative, intentional community, Lomaland was an experiment to make Theosophy “intensely practical,” according to its founder and spiritual leader, Katherine Tingley. Inspired by the ideals found in late 19th century Theosophy and the New England Transcendentalism of her childhood, Tingley’s charismatic personality and vision drew together participants from more than twenty countries. She established the ‘School for the Revival of the Lost Mysteries of Antiquity’ and the ‘Raja Yoga School’ for children, which embraced dramatic productions, music, art, and literature. Reaching its peak of nearly 500 residents by 1920, Lomaland developed into a vibrant community based on Universalist ethics and altruistic ideals, and became the cultural and educational hub of a growing San Diego. Campus Location: Library/Information Access. Room: LA4410. Event Type: Exhibits. Contact Name: Robert Ray. Contact Email: robert.ray@sdsu.edu. Contact Phone: x44303. Friday, June 7, 2019, 10:00 AM – 4:00 PM. For more info visit library.sdsu.edu. Arts Alive In Transit is a multidisciplinary exhibition featuring the work of five artists who have forged relationships with and documented the lives of individuals fleeing intolerable hardship by migrating into Europe over the last seven years. Focusing on the tentative, limbo-like experience of living between different cultures, the selection explores dynamic stories of immigrants and refugees who traverse the no man’s land existing between home and hope. The artworks illustrate the physical and psychological challenges, while looking at the deeper discussion of what constitutes citizenship in the wake of these enormous migrations. Through their photographs, the artists strive to disrupt accepted misconceptions about immigration and otherness. Artists included in the exhibition are: Tanya Habjouqa (JO)Gohar Dashti (IR)George Awde (USA/LB) Daniel Castro Garcia (UK)Stefanie Zofia Schulz (DE). Campus Location: SDSU Downtown Gallery. Event Type: Arts & Culture. Exhibits. Contact Name: Chantel Paul. Contact Email: sdsudtg@gmail.com. Contact Phone: 6195016370. Friday, June 7, 2019, 11:00 AM – 4:00 PM. For more info visit art.sdsu.edu. Viejas Arena Campus Location: Viejas Arena at Aztec Bowl. Event Type: Performances. Special Events. Friday, June 7, 2019, 7:00 PM – 11:00 PM. For more info visit as.sdsu.edu. Arts Alive In Transit is a multidisciplinary exhibition featuring the work of five artists who have forged relationships with and documented the lives of individuals fleeing intolerable hardship by migrating into Europe over the last seven years. Focusing on the tentative, limbo-like experience of living between different cultures, the selection explores dynamic stories of immigrants and refugees who traverse the no man’s land existing between home and hope. The artworks illustrate the physical and psychological challenges, while looking at the deeper discussion of what constitutes citizenship in the wake of these enormous migrations. Through their photographs, the artists strive to disrupt accepted misconceptions about immigration and otherness. Artists included in the exhibition are: Tanya Habjouqa (JO)Gohar Dashti (IR)George Awde (USA/LB) Daniel Castro Garcia (UK)Stefanie Zofia Schulz (DE). Campus Location: SDSU Downtown Gallery. Event Type: Arts & Culture. Exhibits. Contact Name: Chantel Paul. Contact Email: sdsudtg@gmail.com. Contact Phone: 6195016370. Saturday, June 8, 2019, 11:00 AM – 4:00 PM. For more info visit art.sdsu.edu. Enanitos Verdes & Hombres G.
Viejas Arena Viejas Arena welcomes Enanitos Verdes & Hombres G on Saturday, June 8, 2019 at 8pm. The gates open at 7pm. Tickets can be purchased through Ticketmaster; online, by phone or at the Viejas Arena Box office in person. *Service fees may apply. Price and support acts subject to change without notice. Event Type: Performances. Special Events. Saturday, June 8, 2019, 8:00 PM – 11:00 PM. Arts Alive In Transit is a multidisciplinary exhibition featuring the work of five artists who have forged relationships with and documented the lives of individuals fleeing intolerable hardship by migrating into Europe over the last seven years. Focusing on the tentative, limbo-like experience of living between different cultures, the selection explores dynamic stories of immigrants and refugees who traverse the no man’s land existing between home and hope. The artworks illustrate the physical and psychological challenges, while looking at the deeper discussion of what constitutes citizenship in the wake of these enormous migrations. Through their photographs, the artists strive to disrupt accepted misconceptions about immigration and otherness. Artists included in the exhibition are: Tanya Habjouqa (JO)Gohar Dashti (IR)George Awde (USA/LB) Daniel Castro Garcia (UK)Stefanie Zofia Schulz (DE). Campus Location: SDSU Downtown Gallery. Event Type: Arts & Culture. Exhibits. Contact Name: Chantel Paul. Contact Email: sdsudtg@gmail.com. Contact Phone: 6195016370. Sunday, June 9, 2019, 11:00 AM – 4:00 PM. For more info visit art.sdsu.edu. Academic Affairs The exhibit explores the Theosophical community of Lomaland, which flourished on Point Loma, San Diego from 1898 until 1942. A contemplative, intentional community, Lomaland was an experiment to make Theosophy “intensely practical,” according to its founder and spiritual leader, Katherine Tingley. Inspired by the ideals found in late 19th century Theosophy and the New England Transcendentalism of her childhood, Tingley’s charismatic personality and vision drew together participants from more than twenty countries. She established the ‘School for the Revival of the Lost Mysteries of Antiquity’ and the ‘Raja Yoga School’ for children, which embraced dramatic productions, music, art, and literature. Reaching its peak of nearly 500 residents by 1920, Lomaland developed into a vibrant community based on Universalist ethics and altruistic ideals, and became the cultural and educational hub of a growing San Diego. Campus Location: Library/Information Access. Room: LA4410. Event Type: Exhibits. Contact Name: Robert Ray. Contact Email: robert.ray@sdsu.edu. Contact Phone: x44303. Monday, June 10, 2019, 10:00 AM – 4:00 PM. For more info visit library.sdsu.edu. Arts Alive In Transit is a multidisciplinary exhibition featuring the work of five artists who have forged relationships with and documented the lives of individuals fleeing intolerable hardship by migrating into Europe over the last seven years. Focusing on the tentative, limbo-like experience of living between different cultures, the selection explores dynamic stories of immigrants and refugees who traverse the no man’s land existing between home and hope. The artworks illustrate the physical and psychological challenges, while looking at the deeper discussion of what constitutes citizenship in the wake of these enormous migrations. Through their photographs, the artists strive to disrupt accepted misconceptions about immigration and otherness. Artists included in the exhibition are: Tanya Habjouqa (JO)Gohar Dashti (IR)George Awde (USA/LB) Daniel Castro Garcia (UK)Stefanie Zofia Schulz (DE). Campus Location: SDSU Downtown Gallery. Event Type: Arts & Culture. Exhibits. Contact Name: Chantel Paul. Contact Email: sdsudtg@gmail.com. Contact Phone: 6195016370. Monday, June 10, 2019, 11:00 AM – 4:00 PM. For more info visit art.sdsu.edu. Academic Affairs The exhibit explores the Theosophical community of Lomaland, which flourished on Point Loma, San Diego from 1898 until 1942. A contemplative, intentional community, Lomaland was an experiment to make Theosophy “intensely practical,” according to its founder and spiritual leader, Katherine Tingley. Inspired by the ideals found in late 19th century Theosophy and the New England Transcendentalism of her childhood, Tingley’s charismatic personality and vision drew together participants from more than twenty countries. She established the ‘School for the Revival of the Lost Mysteries of Antiquity’ and the ‘Raja Yoga School’ for children, which embraced dramatic productions, music, art, and literature. Reaching its peak of nearly 500 residents by 1920, Lomaland developed into a vibrant community based on Universalist ethics and altruistic ideals, and became the cultural and educational hub of a growing San Diego. Campus Location: Library/Information Access. Room: LA4410. Event Type: Exhibits. Contact Name: Robert Ray. Contact Email: robert.ray@sdsu.edu. Contact Phone: x44303. Tuesday, June 11, 2019, 10:00 AM – 4:00 PM. For more info visit library.sdsu.edu. Academic Affairs The exhibit explores the Theosophical community of Lomaland, which flourished on Point Loma, San Diego from 1898 until 1942. A contemplative, intentional community, Lomaland was an experiment to make Theosophy “intensely practical,” according to its founder and spiritual leader, Katherine Tingley. Inspired by the ideals found in late 19th century Theosophy and the New England Transcendentalism of her childhood, Tingley’s charismatic personality and vision drew together participants from more than twenty countries. She established the ‘School for the Revival of the Lost Mysteries of Antiquity’ and the ‘Raja Yoga School’ for children, which embraced dramatic productions, music, art, and literature. Reaching its peak of nearly 500 residents by 1920, Lomaland developed into a vibrant community based on Universalist ethics and altruistic ideals, and became the cultural and educational hub of a growing San Diego. Campus Location: Library/Information Access. Room: LA4410. Event Type: Exhibits. Contact Name: Robert Ray. Contact Email: robert.ray@sdsu.edu. Contact Phone: x44303. Wednesday, June 12, 2019, 10:00 AM – 4:00 PM. For more info visit library.sdsu.edu. Student Affairs EOP First Contact is a free, mandatory orientation organized by the Educational Opportunity Program (EOP). It is designed for all newly admitted SDSU/EOP students (first-time freshmen and transfer students) and should not be confused with San Diego State University’s (SDSU) New Student Orientation, which is designed to reach all new, incoming SDSU students. For more information on SDSU's New Student Orientation visit: www.sdsu.edu/orientation At First Contact students will learn more about EOP's programs, services, and benefits. They will also have the opportunity to meet the staff. In addition, incoming students will meet their EOP Counselors in a special session. At this session Counselors discuss program policies and procedures, expectations and additional services, which include: Academic advising Personal counseling Free tutorial assistance Campus resources Testing Graduation and degree requirements During First Contact students review and sign the EOP Student-Program Agreement, which… Room: TBD. Event Type: Special Events. Contact Name: Shareka White. Contact Email: snwhite@sdsu.edu. Contact Phone: 619-594-6298. Thursday, June 13, 2019, 10:00 AM – 3:00 PM. For more info visit studentaffairs.sdsu.edu. Academic Affairs The exhibit explores the Theosophical community of Lomaland, which flourished on Point Loma, San Diego from 1898 until 1942. A contemplative, intentional community, Lomaland was an experiment to make Theosophy “intensely practical,” according to its founder and spiritual leader, Katherine Tingley. Inspired by the ideals found in late 19th century Theosophy and the New England Transcendentalism of her childhood, Tingley’s charismatic personality and vision drew together participants from more than twenty countries. She established the ‘School for the Revival of the Lost Mysteries of Antiquity’ and the ‘Raja Yoga School’ for children, which embraced dramatic productions, music, art, and literature. Reaching its peak of nearly 500 residents by 1920, Lomaland developed into a vibrant community based on Universalist ethics and altruistic ideals, and became the cultural and educational hub of a growing San Diego. Campus Location: Library/Information Access. Room: LA4410. Event Type: Exhibits. Contact Name: Robert Ray. Contact Email: robert.ray@sdsu.edu. Contact Phone: x44303. Thursday, June 13, 2019, 10:00 AM – 4:00 PM. For more info visit library.sdsu.edu. Arts Alive In Transit is a multidisciplinary exhibition featuring the work of five artists who have forged relationships with and documented the lives of individuals fleeing intolerable hardship by migrating into Europe over the last seven years. Focusing on the tentative, limbo-like experience of living between different cultures, the selection explores dynamic stories of immigrants and refugees who traverse the no man’s land existing between home and hope. The artworks illustrate the physical and psychological challenges, while looking at the deeper discussion of what constitutes citizenship in the wake of these enormous migrations. Through their photographs, the artists strive to disrupt accepted misconceptions about immigration and otherness. Artists included in the exhibition are: Tanya Habjouqa (JO)Gohar Dashti (IR)George Awde (USA/LB) Daniel Castro Garcia (UK)Stefanie Zofia Schulz (DE). Campus Location: SDSU Downtown Gallery. Event Type: Arts & Culture. Exhibits. Contact Name: Chantel Paul. Contact Email: sdsudtg@gmail.com. Contact Phone: 6195016370. Thursday, June 13, 2019, 11:00 AM – 4:00 PM. For more info visit art.sdsu.edu. Academic Affairs The exhibit explores the Theosophical community of Lomaland, which flourished on Point Loma, San Diego from 1898 until 1942. A contemplative, intentional community, Lomaland was an experiment to make Theosophy “intensely practical,” according to its founder and spiritual leader, Katherine Tingley. Inspired by the ideals found in late 19th century Theosophy and the New England Transcendentalism of her childhood, Tingley’s charismatic personality and vision drew together participants from more than twenty countries. She established the ‘School for the Revival of the Lost Mysteries of Antiquity’ and the ‘Raja Yoga School’ for children, which embraced dramatic productions, music, art, and literature. Reaching its peak of nearly 500 residents by 1920, Lomaland developed into a vibrant community based on Universalist ethics and altruistic ideals, and became the cultural and educational hub of a growing San Diego. Campus Location: Library/Information Access. Room: LA4410. Event Type: Exhibits. Contact Name: Robert Ray. Contact Email: robert.ray@sdsu.edu. Contact Phone: x44303. Friday, June 14, 2019, 10:00 AM – 4:00 PM. For more info visit library.sdsu.edu. Arts Alive In Transit is a multidisciplinary exhibition featuring the work of five artists who have forged relationships with and documented the lives of individuals fleeing intolerable hardship by migrating into Europe over the last seven years. Focusing on the tentative, limbo-like experience of living between different cultures, the selection explores dynamic stories of immigrants and refugees who traverse the no man’s land existing between home and hope. The artworks illustrate the physical and psychological challenges, while looking at the deeper discussion of what constitutes citizenship in the wake of these enormous migrations. Through their photographs, the artists strive to disrupt accepted misconceptions about immigration and otherness. Artists included in the exhibition are: Tanya Habjouqa (JO)Gohar Dashti (IR)George Awde (USA/LB) Daniel Castro Garcia (UK)Stefanie Zofia Schulz (DE). Campus Location: SDSU Downtown Gallery. Event Type: Arts & Culture. Exhibits. Contact Name: Chantel Paul. Contact Email: sdsudtg@gmail.com. Contact Phone: 6195016370. Friday, June 14, 2019, 11:00 AM – 4:00 PM. For more info visit art.sdsu.edu. Student Affairs EOP First Contact is a free, mandatory orientation organized by the Educational Opportunity Program (EOP). It is designed for all newly admitted SDSU/EOP students (first-time freshmen and transfer students) and should not be confused with San Diego State University’s (SDSU) New Student Orientation, which is designed to reach all new, incoming SDSU students. For more information on SDSU's New Student Orientation visit: www.sdsu.edu/orientation At First Contact students will learn more about EOP's programs, services, and benefits. They will also have the opportunity to meet the staff. In addition, incoming students will meet their EOP Counselors in a special session. At this session Counselors discuss program policies and procedures, expectations and additional services, which include: Academic advising Personal counseling Free tutorial assistance Campus resources Testing Graduation and degree requirements During First Contact students review and sign the EOP Student-Program Agreement, which hig… Room: TBD. Event Type: Special Events. Contact Name: Shareka White. Contact Email: snwhite@sdsu.edu. Contact Phone: 619-594-6298. Saturday, June 15, 2019, 9:00 AM – 2:00 PM. For more info visit studentaffairs.sdsu.edu. Arts Alive In Transit is a multidisciplinary exhibition featuring the work of five artists who have forged relationships with and documented the lives of individuals fleeing intolerable hardship by migrating into Europe over the last seven years. Focusing on the tentative, limbo-like experience of living between different cultures, the selection explores dynamic stories of immigrants and refugees who traverse the no man’s land existing between home and hope. The artworks illustrate the physical and psychological challenges, while looking at the deeper discussion of what constitutes citizenship in the wake of these enormous migrations. Through their photographs, the artists strive to disrupt accepted misconceptions about immigration and otherness. Artists included in the exhibition are: Tanya Habjouqa (JO)Gohar Dashti (IR)George Awde (USA/LB) Daniel Castro Garcia (UK)Stefanie Zofia Schulz (DE). Campus Location: SDSU Downtown Gallery. Event Type: Arts & Culture. Exhibits. Contact Name: Chantel Paul. Contact Email: sdsudtg@gmail.com. Contact Phone: 6195016370. Saturday, June 15, 2019, 11:00 AM – 4:00 PM. For more info visit art.sdsu.edu. Arts Alive In Transit is a multidisciplinary exhibition featuring the work of five artists who have forged relationships with and documented the lives of individuals fleeing intolerable hardship by migrating into Europe over the last seven years. Focusing on the tentative, limbo-like experience of living between different cultures, the selection explores dynamic stories of immigrants and refugees who traverse the no man’s land existing between home and hope. The artworks illustrate the physical and psychological challenges, while looking at the deeper discussion of what constitutes citizenship in the wake of these enormous migrations. Through their photographs, the artists strive to disrupt accepted misconceptions about immigration and otherness. Artists included in the exhibition are: Tanya Habjouqa (JO)Gohar Dashti (IR)George Awde (USA/LB) Daniel Castro Garcia (UK)Stefanie Zofia Schulz (DE). Campus Location: SDSU Downtown Gallery. Event Type: Arts & Culture. Exhibits. Contact Name: Chantel Paul. Contact Email: sdsudtg@gmail.com. Contact Phone: 6195016370. Sunday, June 16, 2019, 11:00 AM – 4:00 PM. For more info visit art.sdsu.edu. Academic Affairs The exhibit explores the Theosophical community of Lomaland, which flourished on Point Loma, San Diego from 1898 until 1942. A contemplative, intentional community, Lomaland was an experiment to make Theosophy “intensely practical,” according to its founder and spiritual leader, Katherine Tingley. Inspired by the ideals found in late 19th century Theosophy and the New England Transcendentalism of her childhood, Tingley’s charismatic personality and vision drew together participants from more than twenty countries. She established the ‘School for the Revival of the Lost Mysteries of Antiquity’ and the ‘Raja Yoga School’ for children, which embraced dramatic productions, music, art, and literature. Reaching its peak of nearly 500 residents by 1920, Lomaland developed into a vibrant community based on Universalist ethics and altruistic ideals, and became the cultural and educational hub of a growing San Diego. Campus Location: Library/Information Access. Room: LA4410. Event Type: Exhibits. Contact Name: Robert Ray. Contact Email: robert.ray@sdsu.edu. Contact Phone: x44303. Monday, June 17, 2019, 10:00 AM – 4:00 PM. For more info visit library.sdsu.edu. Arts Alive In Transit is a multidisciplinary exhibition featuring the work of five artists who have forged relationships with and documented the lives of individuals fleeing intolerable hardship by migrating into Europe over the last seven years. Focusing on the tentative, limbo-like experience of living between different cultures, the selection explores dynamic stories of immigrants and refugees who traverse the no man’s land existing between home and hope. The artworks illustrate the physical and psychological challenges, while looking at the deeper discussion of what constitutes citizenship in the wake of these enormous migrations. Through their photographs, the artists strive to disrupt accepted misconceptions about immigration and otherness. Artists included in the exhibition are: Tanya Habjouqa (JO)Gohar Dashti (IR)George Awde (USA/LB) Daniel Castro Garcia (UK)Stefanie Zofia Schulz (DE). Campus Location: SDSU Downtown Gallery. Event Type: Arts & Culture. Exhibits. Contact Name: Chantel Paul. Contact Email: sdsudtg@gmail.com. Contact Phone: 6195016370. Monday, June 17, 2019, 11:00 AM – 4:00 PM. For more info visit art.sdsu.edu. Academic Affairs The exhibit explores the Theosophical community of Lomaland, which flourished on Point Loma, San Diego from 1898 until 1942. A contemplative, intentional community, Lomaland was an experiment to make Theosophy “intensely practical,” according to its founder and spiritual leader, Katherine Tingley. Inspired by the ideals found in late 19th century Theosophy and the New England Transcendentalism of her childhood, Tingley’s charismatic personality and vision drew together participants from more than twenty countries. She established the ‘School for the Revival of the Lost Mysteries of Antiquity’ and the ‘Raja Yoga School’ for children, which embraced dramatic productions, music, art, and literature. Reaching its peak of nearly 500 residents by 1920, Lomaland developed into a vibrant community based on Universalist ethics and altruistic ideals, and became the cultural and educational hub of a growing San Diego. Campus Location: Library/Information Access. Room: LA4410. Event Type: Exhibits. Contact Name: Robert Ray. Contact Email: robert.ray@sdsu.edu. Contact Phone: x44303. Tuesday, June 18, 2019, 10:00 AM – 4:00 PM. For more info visit library.sdsu.edu. Academic Affairs The exhibit explores the Theosophical community of Lomaland, which flourished on Point Loma, San Diego from 1898 until 1942. A contemplative, intentional community, Lomaland was an experiment to make Theosophy “intensely practical,” according to its founder and spiritual leader, Katherine Tingley. Inspired by the ideals found in late 19th century Theosophy and the New England Transcendentalism of her childhood, Tingley’s charismatic personality and vision drew together participants from more than twenty countries. She established the ‘School for the Revival of the Lost Mysteries of Antiquity’ and the ‘Raja Yoga School’ for children, which embraced dramatic productions, music, art, and literature. Reaching its peak of nearly 500 residents by 1920, Lomaland developed into a vibrant community based on Universalist ethics and altruistic ideals, and became the cultural and educational hub of a growing San Diego. Campus Location: Library/Information Access. Room: LA4410. Event Type: Exhibits. Contact Name: Robert Ray. Contact Email: robert.ray@sdsu.edu. Contact Phone: x44303. Wednesday, June 19, 2019, 10:00 AM – 4:00 PM. For more info visit library.sdsu.edu. Academic Affairs The exhibit explores the Theosophical community of Lomaland, which flourished on Point Loma, San Diego from 1898 until 1942. A contemplative, intentional community, Lomaland was an experiment to make Theosophy “intensely practical,” according to its founder and spiritual leader, Katherine Tingley. Inspired by the ideals found in late 19th century Theosophy and the New England Transcendentalism of her childhood, Tingley’s charismatic personality and vision drew together participants from more than twenty countries. She established the ‘School for the Revival of the Lost Mysteries of Antiquity’ and the ‘Raja Yoga School’ for children, which embraced dramatic productions, music, art, and literature. Reaching its peak of nearly 500 residents by 1920, Lomaland developed into a vibrant community based on Universalist ethics and altruistic ideals, and became the cultural and educational hub of a growing San Diego. Campus Location: Library/Information Access. Room: LA4410. Event Type: Exhibits. Contact Name: Robert Ray. Contact Email: robert.ray@sdsu.edu. Contact Phone: x44303. Thursday, June 20, 2019, 10:00 AM – 4:00 PM. For more info visit library.sdsu.edu. Arts Alive In Transit is a multidisciplinary exhibition featuring the work of five artists who have forged relationships with and documented the lives of individuals fleeing intolerable hardship by migrating into Europe over the last seven years. Focusing on the tentative, limbo-like experience of living between different cultures, the selection explores dynamic stories of immigrants and refugees who traverse the no man’s land existing between home and hope. The artworks illustrate the physical and psychological challenges, while looking at the deeper discussion of what constitutes citizenship in the wake of these enormous migrations. Through their photographs, the artists strive to disrupt accepted misconceptions about immigration and otherness. Artists included in the exhibition are: Tanya Habjouqa (JO)Gohar Dashti (IR)George Awde (USA/LB) Daniel Castro Garcia (UK)Stefanie Zofia Schulz (DE). Campus Location: SDSU Downtown Gallery. Event Type: Arts & Culture. Exhibits. Contact Name: Chantel Paul. Contact Email: sdsudtg@gmail.com. Contact Phone: 6195016370. Thursday, June 20, 2019, 11:00 AM – 4:00 PM. For more info visit art.sdsu.edu. Student Affairs EOP First Contact is a free, mandatory orientation organized by the Educational Opportunity Program (EOP). It is designed for all newly admitted SDSU/EOP students (first-time freshmen and transfer students) and should not be confused with San Diego State University’s (SDSU) New Student Orientation, which is designed to reach all new, incoming SDSU students. For more information on SDSU's New Student Orientation visit: www.sdsu.edu/orientation At First Contact students will learn more about EOP's programs, services, and benefits. They will also have the opportunity to meet the staff. In addition, incoming students will meet their EOP Counselors in a special session. At this session Counselors discuss program policies and procedures, expectations and additional services, which include: Academic advising Personal counseling Free tutorial assistance Campus resources Testing Graduation and degree requirements During First Contact students review and sign the EOP Student-Program Agreement, which hig… Room: TBD. Event Type: Special Events. Contact Name: Shareka White. Contact Email: snwhite@sdsu.edu. Contact Phone: 619-594-6298. Friday, June 21, 2019, 10:00 AM – 3:00 PM. For more info visit studentaffairs.sdsu.edu. Academic Affairs The exhibit explores the Theosophical community of Lomaland, which flourished on Point Loma, San Diego from 1898 until 1942. A contemplative, intentional community, Lomaland was an experiment to make Theosophy “intensely practical,” according to its founder and spiritual leader, Katherine Tingley. Inspired by the ideals found in late 19th century Theosophy and the New England Transcendentalism of her childhood, Tingley’s charismatic personality and vision drew together participants from more than twenty countries. She established the ‘School for the Revival of the Lost Mysteries of Antiquity’ and the ‘Raja Yoga School’ for children, which embraced dramatic productions, music, art, and literature. Reaching its peak of nearly 500 residents by 1920, Lomaland developed into a vibrant community based on Universalist ethics and altruistic ideals, and became the cultural and educational hub of a growing San Diego. Campus Location: Library/Information Access. Room: LA4410. Event Type: Exhibits. Contact Name: Robert Ray. Contact Email: robert.ray@sdsu.edu. Contact Phone: x44303. Friday, June 21, 2019, 10:00 AM – 4:00 PM. For more info visit library.sdsu.edu. Arts Alive In Transit is a multidisciplinary exhibition featuring the work of five artists who have forged relationships with and documented the lives of individuals fleeing intolerable hardship by migrating into Europe over the last seven years. Focusing on the tentative, limbo-like experience of living between different cultures, the selection explores dynamic stories of immigrants and refugees who traverse the no man’s land existing between home and hope. The artworks illustrate the physical and psychological challenges, while looking at the deeper discussion of what constitutes citizenship in the wake of these enormous migrations. Through their photographs, the artists strive to disrupt accepted misconceptions about immigration and otherness. Artists included in the exhibition are: Tanya Habjouqa (JO)Gohar Dashti (IR)George Awde (USA/LB) Daniel Castro Garcia (UK)Stefanie Zofia Schulz (DE). Campus Location: SDSU Downtown Gallery. Event Type: Arts & Culture. Exhibits. Contact Name: Chantel Paul. Contact Email: sdsudtg@gmail.com. Contact Phone: 6195016370. Friday, June 21, 2019, 11:00 AM – 4:00 PM. For more info visit art.sdsu.edu. Arts Alive In Transit is a multidisciplinary exhibition featuring the work of five artists who have forged relationships with and documented the lives of individuals fleeing intolerable hardship by migrating into Europe over the last seven years. Focusing on the tentative, limbo-like experience of living between different cultures, the selection explores dynamic stories of immigrants and refugees who traverse the no man’s land existing between home and hope. The artworks illustrate the physical and psychological challenges, while looking at the deeper discussion of what constitutes citizenship in the wake of these enormous migrations. Through their photographs, the artists strive to disrupt accepted misconceptions about immigration and otherness. Artists included in the exhibition are: Tanya Habjouqa (JO)Gohar Dashti (IR)George Awde (USA/LB) Daniel Castro Garcia (UK)Stefanie Zofia Schulz (DE). Campus Location: SDSU Downtown Gallery. Event Type: Arts & Culture. Exhibits. Contact Name: Chantel Paul. Contact Email: sdsudtg@gmail.com. Contact Phone: 6195016370. Saturday, June 22, 2019, 11:00 AM – 4:00 PM. For more info visit art.sdsu.edu. Arts Alive In Transit is a multidisciplinary exhibition featuring the work of five artists who have forged relationships with and documented the lives of individuals fleeing intolerable hardship by migrating into Europe over the last seven years. Focusing on the tentative, limbo-like experience of living between different cultures, the selection explores dynamic stories of immigrants and refugees who traverse the no man’s land existing between home and hope. The artworks illustrate the physical and psychological challenges, while looking at the deeper discussion of what constitutes citizenship in the wake of these enormous migrations. Through their photographs, the artists strive to disrupt accepted misconceptions about immigration and otherness. Artists included in the exhibition are: Tanya Habjouqa (JO)Gohar Dashti (IR)George Awde (USA/LB) Daniel Castro Garcia (UK)Stefanie Zofia Schulz (DE). Campus Location: SDSU Downtown Gallery. Event Type: Arts & Culture. Exhibits. Contact Name: Chantel Paul. Contact Email: sdsudtg@gmail.com. Contact Phone: 6195016370. Sunday, June 23, 2019, 11:00 AM – 4:00 PM. For more info visit art.sdsu.edu. Academic Affairs The exhibit explores the Theosophical community of Lomaland, which flourished on Point Loma, San Diego from 1898 until 1942. A contemplative, intentional community, Lomaland was an experiment to make Theosophy “intensely practical,” according to its founder and spiritual leader, Katherine Tingley. Inspired by the ideals found in late 19th century Theosophy and the New England Transcendentalism of her childhood, Tingley’s charismatic personality and vision drew together participants from more than twenty countries. She established the ‘School for the Revival of the Lost Mysteries of Antiquity’ and the ‘Raja Yoga School’ for children, which embraced dramatic productions, music, art, and literature. Reaching its peak of nearly 500 residents by 1920, Lomaland developed into a vibrant community based on Universalist ethics and altruistic ideals, and became the cultural and educational hub of a growing San Diego. Campus Location: Library/Information Access. Room: LA4410. Event Type: Exhibits. Contact Name: Robert Ray. Contact Email: robert.ray@sdsu.edu. Contact Phone: x44303. Monday, June 24, 2019, 10:00 AM – 4:00 PM. For more info visit library.sdsu.edu. Arts Alive In Transit is a multidisciplinary exhibition featuring the work of five artists who have forged relationships with and documented the lives of individuals fleeing intolerable hardship by migrating into Europe over the last seven years. Focusing on the tentative, limbo-like experience of living between different cultures, the selection explores dynamic stories of immigrants and refugees who traverse the no man’s land existing between home and hope. The artworks illustrate the physical and psychological challenges, while looking at the deeper discussion of what constitutes citizenship in the wake of these enormous migrations. Through their photographs, the artists strive to disrupt accepted misconceptions about immigration and otherness. Artists included in the exhibition are: Tanya Habjouqa (JO)Gohar Dashti (IR)George Awde (USA/LB) Daniel Castro Garcia (UK)Stefanie Zofia Schulz (DE). Campus Location: SDSU Downtown Gallery. Event Type: Arts & Culture. Exhibits. Contact Name: Chantel Paul. Contact Email: sdsudtg@gmail.com. Contact Phone: 6195016370. Monday, June 24, 2019, 11:00 AM – 4:00 PM. For more info visit art.sdsu.edu. Academic Affairs The exhibit explores the Theosophical community of Lomaland, which flourished on Point Loma, San Diego from 1898 until 1942. A contemplative, intentional community, Lomaland was an experiment to make Theosophy “intensely practical,” according to its founder and spiritual leader, Katherine Tingley. Inspired by the ideals found in late 19th century Theosophy and the New England Transcendentalism of her childhood, Tingley’s charismatic personality and vision drew together participants from more than twenty countries. She established the ‘School for the Revival of the Lost Mysteries of Antiquity’ and the ‘Raja Yoga School’ for children, which embraced dramatic productions, music, art, and literature. Reaching its peak of nearly 500 residents by 1920, Lomaland developed into a vibrant community based on Universalist ethics and altruistic ideals, and became the cultural and educational hub of a growing San Diego. Campus Location: Library/Information Access. Room: LA4410. Event Type: Exhibits. Contact Name: Robert Ray. Contact Email: robert.ray@sdsu.edu. Contact Phone: x44303. Tuesday, June 25, 2019, 10:00 AM – 4:00 PM. For more info visit library.sdsu.edu. Student Affairs EOP First Contact is a free, mandatory orientation organized by the Educational Opportunity Program (EOP). It is designed for all newly admitted SDSU/EOP students (first-time freshmen and transfer students) and should not be confused with San Diego State University’s (SDSU) New Student Orientation, which is designed to reach all new, incoming SDSU students. For more information on SDSU's New Student Orientation visit: www.sdsu.edu/orientation At First Contact students will learn more about EOP's programs, services, and benefits. They will also have the opportunity to meet the staff. In addition, incoming students will meet their EOP Counselors in a special session. At this session Counselors discuss program policies and procedures, expectations and additional services, which include: Academic advising Personal counseling Free tutorial assistance Campus resources Testing Graduation and degree requirements During First Contact students review and sign the EOP Student-Program Agreement, which hig… Room: TBD. Event Type: Special Events. Contact Name: Shareka White. Contact Email: snwhite@sdsu.edu. Contact Phone: 619-594-6298. Wednesday, June 26, 2019, 10:00 AM – 3:00 PM. For more info visit studentaffairs.sdsu.edu. Academic Affairs The exhibit explores the Theosophical community of Lomaland, which flourished on Point Loma, San Diego from 1898 until 1942. A contemplative, intentional community, Lomaland was an experiment to make Theosophy “intensely practical,” according to its founder and spiritual leader, Katherine Tingley. Inspired by the ideals found in late 19th century Theosophy and the New England Transcendentalism of her childhood, Tingley’s charismatic personality and vision drew together participants from more than twenty countries. She established the ‘School for the Revival of the Lost Mysteries of Antiquity’ and the ‘Raja Yoga School’ for children, which embraced dramatic productions, music, art, and literature. Reaching its peak of nearly 500 residents by 1920, Lomaland developed into a vibrant community based on Universalist ethics and altruistic ideals, and became the cultural and educational hub of a growing San Diego. Campus Location: Library/Information Access. Room: LA4410. Event Type: Exhibits. Contact Name: Robert Ray. Contact Email: robert.ray@sdsu.edu. Contact Phone: x44303. Wednesday, June 26, 2019, 10:00 AM – 4:00 PM. For more info visit library.sdsu.edu. Academic Affairs The exhibit explores the Theosophical community of Lomaland, which flourished on Point Loma, San Diego from 1898 until 1942. A contemplative, intentional community, Lomaland was an experiment to make Theosophy “intensely practical,” according to its founder and spiritual leader, Katherine Tingley. Inspired by the ideals found in late 19th century Theosophy and the New England Transcendentalism of her childhood, Tingley’s charismatic personality and vision drew together participants from more than twenty countries. She established the ‘School for the Revival of the Lost Mysteries of Antiquity’ and the ‘Raja Yoga School’ for children, which embraced dramatic productions, music, art, and literature. Reaching its peak of nearly 500 residents by 1920, Lomaland developed into a vibrant community based on Universalist ethics and altruistic ideals, and became the cultural and educational hub of a growing San Diego. Campus Location: Library/Information Access. Room: LA4410. Event Type: Exhibits. Contact Name: Robert Ray. Contact Email: robert.ray@sdsu.edu. Contact Phone: x44303. Thursday, June 27, 2019, 10:00 AM – 4:00 PM. For more info visit library.sdsu.edu. Arts Alive In Transit is a multidisciplinary exhibition featuring the work of five artists who have forged relationships with and documented the lives of individuals fleeing intolerable hardship by migrating into Europe over the last seven years. Focusing on the tentative, limbo-like experience of living between different cultures, the selection explores dynamic stories of immigrants and refugees who traverse the no man’s land existing between home and hope. The artworks illustrate the physical and psychological challenges, while looking at the deeper discussion of what constitutes citizenship in the wake of these enormous migrations. Through their photographs, the artists strive to disrupt accepted misconceptions about immigration and otherness. Artists included in the exhibition are: Tanya Habjouqa (JO)Gohar Dashti (IR)George Awde (USA/LB) Daniel Castro Garcia (UK)Stefanie Zofia Schulz (DE). Campus Location: SDSU Downtown Gallery. Event Type: Arts & Culture. Exhibits. Contact Name: Chantel Paul. Contact Email: sdsudtg@gmail.com. Contact Phone: 6195016370. Thursday, June 27, 2019, 11:00 AM – 4:00 PM. For more info visit art.sdsu.edu. Academic Affairs The exhibit explores the Theosophical community of Lomaland, which flourished on Point Loma, San Diego from 1898 until 1942. A contemplative, intentional community, Lomaland was an experiment to make Theosophy “intensely practical,” according to its founder and spiritual leader, Katherine Tingley. Inspired by the ideals found in late 19th century Theosophy and the New England Transcendentalism of her childhood, Tingley’s charismatic personality and vision drew together participants from more than twenty countries. She established the ‘School for the Revival of the Lost Mysteries of Antiquity’ and the ‘Raja Yoga School’ for children, which embraced dramatic productions, music, art, and literature. Reaching its peak of nearly 500 residents by 1920, Lomaland developed into a vibrant community based on Universalist ethics and altruistic ideals, and became the cultural and educational hub of a growing San Diego. Campus Location: Library/Information Access. Room: LA4410. Event Type: Exhibits. Contact Name: Robert Ray. Contact Email: robert.ray@sdsu.edu. Contact Phone: x44303. Friday, June 28, 2019, 10:00 AM – 4:00 PM. For more info visit library.sdsu.edu. Arts Alive In Transit is a multidisciplinary exhibition featuring the work of five artists who have forged relationships with and documented the lives of individuals fleeing intolerable hardship by migrating into Europe over the last seven years. Focusing on the tentative, limbo-like experience of living between different cultures, the selection explores dynamic stories of immigrants and refugees who traverse the no man’s land existing between home and hope. The artworks illustrate the physical and psychological challenges, while looking at the deeper discussion of what constitutes citizenship in the wake of these enormous migrations. Through their photographs, the artists strive to disrupt accepted misconceptions about immigration and otherness. Artists included in the exhibition are: Tanya Habjouqa (JO)Gohar Dashti (IR)George Awde (USA/LB) Daniel Castro Garcia (UK)Stefanie Zofia Schulz (DE). Campus Location: SDSU Downtown Gallery. Event Type: Arts & Culture. Exhibits. Contact Name: Chantel Paul. Contact Email: sdsudtg@gmail.com. Contact Phone: 6195016370. Friday, June 28, 2019, 11:00 AM – 4:00 PM. For more info visit art.sdsu.edu. Student Affairs EOP First Contact is a free, mandatory orientation organized by the Educational Opportunity Program (EOP). It is designed for all newly admitted SDSU/EOP students (first-time freshmen and transfer students) and should not be confused with San Diego State University’s (SDSU) New Student Orientation, which is designed to reach all new, incoming SDSU students. For more information on SDSU's New Student Orientation visit: www.sdsu.edu/orientation At First Contact students will learn more about EOP's programs, services, and benefits. They will also have the opportunity to meet the staff. In addition, incoming students will meet their EOP Counselors in a special session. At this session Counselors discuss program policies and procedures, expectations and additional services, which include: Academic advising Personal counseling Free tutorial assistance Campus resources Testing Graduation and degree requirements During First Contact students review and sign the EOP Student-Program Agreement, which hig… Room: TBD. Event Type: Special Events. Contact Name: Shareka White. Contact Email: snwhite@sdsu.edu. Contact Phone: 619-594-6298. Saturday, June 29, 2019, 9:00 AM – 2:00 PM. For more info visit studentaffairs.sdsu.edu. Arts Alive In Transit is a multidisciplinary exhibition featuring the work of five artists who have forged relationships with and documented the lives of individuals fleeing intolerable hardship by migrating into Europe over the last seven years. Focusing on the tentative, limbo-like experience of living between different cultures, the selection explores dynamic stories of immigrants and refugees who traverse the no man’s land existing between home and hope. The artworks illustrate the physical and psychological challenges, while looking at the deeper discussion of what constitutes citizenship in the wake of these enormous migrations. Through their photographs, the artists strive to disrupt accepted misconceptions about immigration and otherness. Artists included in the exhibition are: Tanya Habjouqa (JO)Gohar Dashti (IR)George Awde (USA/LB) Daniel Castro Garcia (UK)Stefanie Zofia Schulz (DE). Campus Location: SDSU Downtown Gallery. Event Type: Arts & Culture. Exhibits. Contact Name: Chantel Paul. Contact Email: sdsudtg@gmail.com. Contact Phone: 6195016370. Saturday, June 29, 2019, 11:00 AM – 4:00 PM. For more info visit art.sdsu.edu. Arts Alive In Transit is a multidisciplinary exhibition featuring the work of five artists who have forged relationships with and documented the lives of individuals fleeing intolerable hardship by migrating into Europe over the last seven years. Focusing on the tentative, limbo-like experience of living between different cultures, the selection explores dynamic stories of immigrants and refugees who traverse the no man’s land existing between home and hope. The artworks illustrate the physical and psychological challenges, while looking at the deeper discussion of what constitutes citizenship in the wake of these enormous migrations. Through their photographs, the artists strive to disrupt accepted misconceptions about immigration and otherness. Artists included in the exhibition are: Tanya Habjouqa (JO)Gohar Dashti (IR)George Awde (USA/LB) Daniel Castro Garcia (UK)Stefanie Zofia Schulz (DE). Campus Location: SDSU Downtown Gallery. Event Type: Arts & Culture. Exhibits. Contact Name: Chantel Paul. Contact Email: sdsudtg@gmail.com. Contact Phone: 6195016370. Sunday, June 30, 2019, 11:00 AM – 4:00 PM. For more info visit art.sdsu.edu. Arts Alive In Transit is a multidisciplinary exhibition featuring the work of five artists who have forged relationships with and documented the lives of individuals fleeing intolerable hardship by migrating into Europe over the last seven years. Focusing on the tentative, limbo-like experience of living between different cultures, the selection explores dynamic stories of immigrants and refugees who traverse the no man’s land existing between home and hope. The artworks illustrate the physical and psychological challenges, while looking at the deeper discussion of what constitutes citizenship in the wake of these enormous migrations. Through their photographs, the artists strive to disrupt accepted misconceptions about immigration and otherness. Artists included in the exhibition are: Tanya Habjouqa (JO)Gohar Dashti (IR)George Awde (USA/LB) Daniel Castro Garcia (UK)Stefanie Zofia Schulz (DE). Campus Location: SDSU Downtown Gallery. Event Type: Arts & Culture. Exhibits. Contact Name: Chantel Paul. Contact Email: sdsudtg@gmail.com. Contact Phone: 6195016370. Monday, July 1, 2019, 11:00 AM – 4:00 PM. For more info visit art.sdsu.edu. Arts Alive In Transit is a multidisciplinary exhibition featuring the work of five artists who have forged relationships with and documented the lives of individuals fleeing intolerable hardship by migrating into Europe over the last seven years. Focusing on the tentative, limbo-like experience of living between different cultures, the selection explores dynamic stories of immigrants and refugees who traverse the no man’s land existing between home and hope. The artworks illustrate the physical and psychological challenges, while looking at the deeper discussion of what constitutes citizenship in the wake of these enormous migrations. Through their photographs, the artists strive to disrupt accepted misconceptions about immigration and otherness. Artists included in the exhibition are: Tanya Habjouqa (JO)Gohar Dashti (IR)George Awde (USA/LB) Daniel Castro Garcia (UK)Stefanie Zofia Schulz (DE). Campus Location: SDSU Downtown Gallery. Event Type: Arts & Culture. Exhibits. Contact Name: Chantel Paul. Contact Email: sdsudtg@gmail.com. Contact Phone: 6195016370. Thursday, July 4, 2019, 11:00 AM – 4:00 PM. For more info visit art.sdsu.edu. Arts Alive In Transit is a multidisciplinary exhibition featuring the work of five artists who have forged relationships with and documented the lives of individuals fleeing intolerable hardship by migrating into Europe over the last seven years. Focusing on the tentative, limbo-like experience of living between different cultures, the selection explores dynamic stories of immigrants and refugees who traverse the no man’s land existing between home and hope. The artworks illustrate the physical and psychological challenges, while looking at the deeper discussion of what constitutes citizenship in the wake of these enormous migrations. Through their photographs, the artists strive to disrupt accepted misconceptions about immigration and otherness. Artists included in the exhibition are: Tanya Habjouqa (JO)Gohar Dashti (IR)George Awde (USA/LB) Daniel Castro Garcia (UK)Stefanie Zofia Schulz (DE). Campus Location: SDSU Downtown Gallery. Event Type: Arts & Culture. Exhibits. Contact Name: Chantel Paul. Contact Email: sdsudtg@gmail.com. Contact Phone: 6195016370. Friday, July 5, 2019, 11:00 AM – 4:00 PM. For more info visit art.sdsu.edu. Viejas Arena Campus Location: Viejas Arena at Aztec Bowl. Event Type: Performances. Special Events. Friday, July 5, 2019, 8:00 PM – 11:00 PM. For more info visit as.sdsu.edu. Arts Alive In Transit is a multidisciplinary exhibition featuring the work of five artists who have forged relationships with and documented the lives of individuals fleeing intolerable hardship by migrating into Europe over the last seven years. Focusing on the tentative, limbo-like experience of living between different cultures, the selection explores dynamic stories of immigrants and refugees who traverse the no man’s land existing between home and hope. The artworks illustrate the physical and psychological challenges, while looking at the deeper discussion of what constitutes citizenship in the wake of these enormous migrations. Through their photographs, the artists strive to disrupt accepted misconceptions about immigration and otherness. Artists included in the exhibition are: Tanya Habjouqa (JO)Gohar Dashti (IR)George Awde (USA/LB) Daniel Castro Garcia (UK)Stefanie Zofia Schulz (DE). Campus Location: SDSU Downtown Gallery. Event Type: Arts & Culture. Exhibits. Contact Name: Chantel Paul. Contact Email: sdsudtg@gmail.com. Contact Phone: 6195016370. Saturday, July 6, 2019, 11:00 AM – 4:00 PM. For more info visit art.sdsu.edu. Arts Alive In Transit is a multidisciplinary exhibition featuring the work of five artists who have forged relationships with and documented the lives of individuals fleeing intolerable hardship by migrating into Europe over the last seven years. Focusing on the tentative, limbo-like experience of living between different cultures, the selection explores dynamic stories of immigrants and refugees who traverse the no man’s land existing between home and hope. The artworks illustrate the physical and psychological challenges, while looking at the deeper discussion of what constitutes citizenship in the wake of these enormous migrations. Through their photographs, the artists strive to disrupt accepted misconceptions about immigration and otherness. Artists included in the exhibition are: Tanya Habjouqa (JO)Gohar Dashti (IR)George Awde (USA/LB) Daniel Castro Garcia (UK)Stefanie Zofia Schulz (DE). Campus Location: SDSU Downtown Gallery. Event Type: Arts & Culture. Exhibits. Contact Name: Chantel Paul. Contact Email: sdsudtg@gmail.com. Contact Phone: 6195016370. Sunday, July 7, 2019, 11:00 AM – 4:00 PM. For more info visit art.sdsu.edu. Arts Alive In Transit is a multidisciplinary exhibition featuring the work of five artists who have forged relationships with and documented the lives of individuals fleeing intolerable hardship by migrating into Europe over the last seven years. Focusing on the tentative, limbo-like experience of living between different cultures, the selection explores dynamic stories of immigrants and refugees who traverse the no man’s land existing between home and hope. The artworks illustrate the physical and psychological challenges, while looking at the deeper discussion of what constitutes citizenship in the wake of these enormous migrations. Through their photographs, the artists strive to disrupt accepted misconceptions about immigration and otherness. Artists included in the exhibition are: Tanya Habjouqa (JO)Gohar Dashti (IR)George Awde (USA/LB) Daniel Castro Garcia (UK)Stefanie Zofia Schulz (DE). Campus Location: SDSU Downtown Gallery. Event Type: Arts & Culture. Exhibits. Contact Name: Chantel Paul. Contact Email: sdsudtg@gmail.com. Contact Phone: 6195016370. Monday, July 8, 2019, 11:00 AM – 4:00 PM. For more info visit art.sdsu.edu. Cal Coast Credit Union Open Air Theatre Cal Coast Credit Union Open Air Theatre welcomes Jon Bellion on Wednesday, July 10th at 7pm. The gates open at 6pm. Tickets can be purchased through Ticketmaster; online, by phone or at the Viejas Arena box office in person. *Service fees may apply. Prices and support acts subject to change without notice. Campus Location: Open Air Theatre. Event Type: Performances. Special Events. Wednesday, July 10, 2019, 7:00 PM – 11:00 PM. For more info visit as.sdsu.edu. Arts Alive In Transit is a multidisciplinary exhibition featuring the work of five artists who have forged relationships with and documented the lives of individuals fleeing intolerable hardship by migrating into Europe over the last seven years. Focusing on the tentative, limbo-like experience of living between different cultures, the selection explores dynamic stories of immigrants and refugees who traverse the no man’s land existing between home and hope. The artworks illustrate the physical and psychological challenges, while looking at the deeper discussion of what constitutes citizenship in the wake of these enormous migrations. Through their photographs, the artists strive to disrupt accepted misconceptions about immigration and otherness. Artists included in the exhibition are: Tanya Habjouqa (JO)Gohar Dashti (IR)George Awde (USA/LB) Daniel Castro Garcia (UK)Stefanie Zofia Schulz (DE). Campus Location: SDSU Downtown Gallery. Event Type: Arts & Culture. Exhibits. Contact Name: Chantel Paul. Contact Email: sdsudtg@gmail.com. Contact Phone: 6195016370. Thursday, July 11, 2019, 11:00 AM – 4:00 PM. For more info visit art.sdsu.edu. Viejas Arena Viejas Arena welcomes Dude Perfect on Thursday, July 11th, at 7pm. The gates open at 6pm. Tickets can be purchased through Ticketmaster; online, by phone or at the Viejas Arena box office in person. *Service fees may apply. Prices and support acts subject to change without notice. Campus Location: Viejas Arena at Aztec Bowl. Event Type: Performances. Special Events. Thursday, July 11, 2019, 7:00 PM – 11:00 PM. For more info visit www.as.sdsu.edu. Arts Alive In Transit is a multidisciplinary exhibition featuring the work of five artists who have forged relationships with and documented the lives of individuals fleeing intolerable hardship by migrating into Europe over the last seven years. Focusing on the tentative, limbo-like experience of living between different cultures, the selection explores dynamic stories of immigrants and refugees who traverse the no man’s land existing between home and hope. The artworks illustrate the physical and psychological challenges, while looking at the deeper discussion of what constitutes citizenship in the wake of these enormous migrations. Through their photographs, the artists strive to disrupt accepted misconceptions about immigration and otherness. Artists included in the exhibition are: Tanya Habjouqa (JO)Gohar Dashti (IR)George Awde (USA/LB) Daniel Castro Garcia (UK)Stefanie Zofia Schulz (DE). Campus Location: SDSU Downtown Gallery. Event Type: Arts & Culture. Exhibits. Contact Name: Chantel Paul. Contact Email: sdsudtg@gmail.com. Contact Phone: 6195016370. Friday, July 12, 2019, 11:00 AM – 4:00 PM. For more info visit art.sdsu.edu. Arts Alive In Transit is a multidisciplinary exhibition featuring the work of five artists who have forged relationships with and documented the lives of individuals fleeing intolerable hardship by migrating into Europe over the last seven years. Focusing on the tentative, limbo-like experience of living between different cultures, the selection explores dynamic stories of immigrants and refugees who traverse the no man’s land existing between home and hope. The artworks illustrate the physical and psychological challenges, while looking at the deeper discussion of what constitutes citizenship in the wake of these enormous migrations. Through their photographs, the artists strive to disrupt accepted misconceptions about immigration and otherness. Artists included in the exhibition are: Tanya Habjouqa (JO)Gohar Dashti (IR)George Awde (USA/LB) Daniel Castro Garcia (UK)Stefanie Zofia Schulz (DE). Campus Location: SDSU Downtown Gallery. Event Type: Arts & Culture. Exhibits. Contact Name: Chantel Paul. Contact Email: sdsudtg@gmail.com. Contact Phone: 6195016370. Saturday, July 13, 2019, 11:00 AM – 4:00 PM. For more info visit art.sdsu.edu. Cal Coast Credit Union Open Air Theatre Cal Coast Credit Union Open Air Theatre welcomes Billie Eilish on Saturday, July 13th at 7:30pm. The gates open at 6:30pm. Tickets can be purchased through Ticketmaster; online, by phone or at the Viejas Arena box office in person. *Service fees may apply. Prices and support acts subject to change without notice. Campus Location: Open Air Theatre. Event Type: Performances. Special Events. Saturday, July 13, 2019, 7:30 PM – 11:00 PM. For more info visit as.sdsu.edu. Arts Alive In Transit is a multidisciplinary exhibition featuring the work of five artists who have forged relationships with and documented the lives of individuals fleeing intolerable hardship by migrating into Europe over the last seven years. Focusing on the tentative, limbo-like experience of living between different cultures, the selection explores dynamic stories of immigrants and refugees who traverse the no man’s land existing between home and hope. The artworks illustrate the physical and psychological challenges, while looking at the deeper discussion of what constitutes citizenship in the wake of these enormous migrations. Through their photographs, the artists strive to disrupt accepted misconceptions about immigration and otherness. Artists included in the exhibition are: Tanya Habjouqa (JO)Gohar Dashti (IR)George Awde (USA/LB) Daniel Castro Garcia (UK)Stefanie Zofia Schulz (DE). Campus Location: SDSU Downtown Gallery. Event Type: Arts & Culture. Exhibits. Contact Name: Chantel Paul. Contact Email: sdsudtg@gmail.com. Contact Phone: 6195016370. Sunday, July 14, 2019, 11:00 AM – 4:00 PM. For more info visit art.sdsu.edu. Cal Coast Credit Union Open Air Theatre Cal Coast Credit Union Open Air Theatre welcomes Why Don't We on Friday, July 19th at 7:00pm. The gates open at 6:00pm. Tickets can be purchased through Ticketmaster; online, by phone or at the Viejas Arena box office in person. *Service fees may apply. Prices and support acts subject to change without notice. Campus Location: Open Air Theatre. Event Type: Performances. Special Events. Friday, July 19, 2019, 7:30 PM – 11:00 PM.